Following the initial strong showing at the formation meeting, attendance declined to between 4 and 10 devotees per service, which was somewhat disheartening to the group at the time. 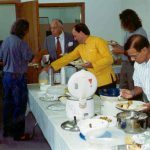 The Center Department assured the group, however, that this was typical and that they should not be disheartened. A small, dedicated, and spiritually strong core of devotees emerged to aid Paramahansaji in guiding the group through the years 1976-93, a time of re-building. Services were typically held on Sundays with inspirational or meditation services also held on Wednesday or Thursday evenings. 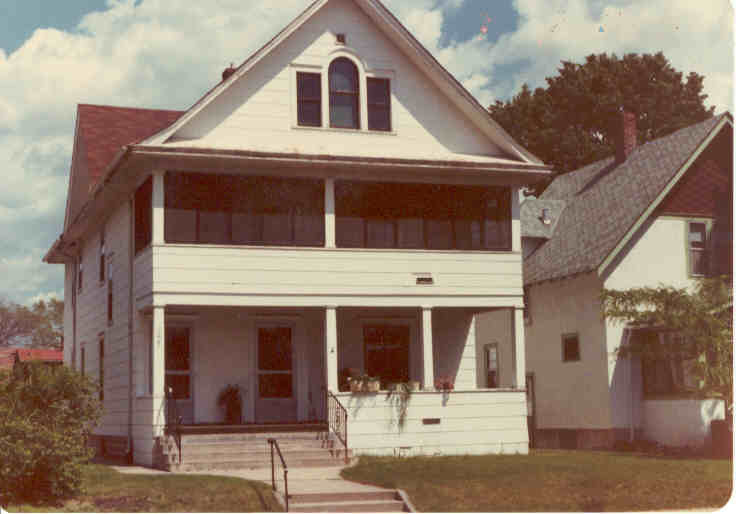 Minneapolis Meditation Group services during 1976-88 were held in the homes of various devotees, with the most long-standing meeting location being at 5104 Chowen Avenue South (1980-89). 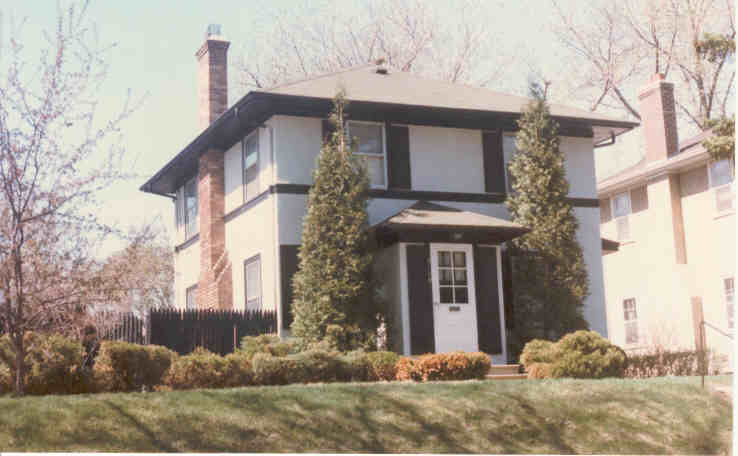 Other devotees homes in which the Group met included 1915 West 49th Street (1976-78), 2224 Dayton Avenue, St. Paul (1976-79), 3629 17th Ave. So. 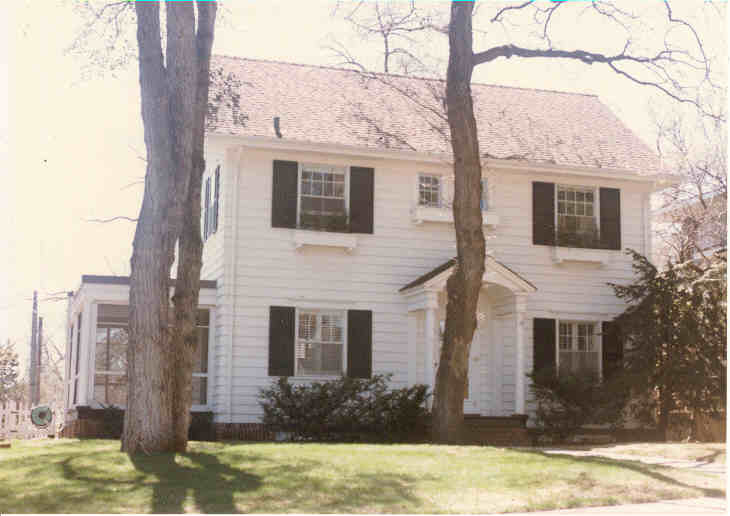 (1979-80), and 4017 Aldrich Ave. 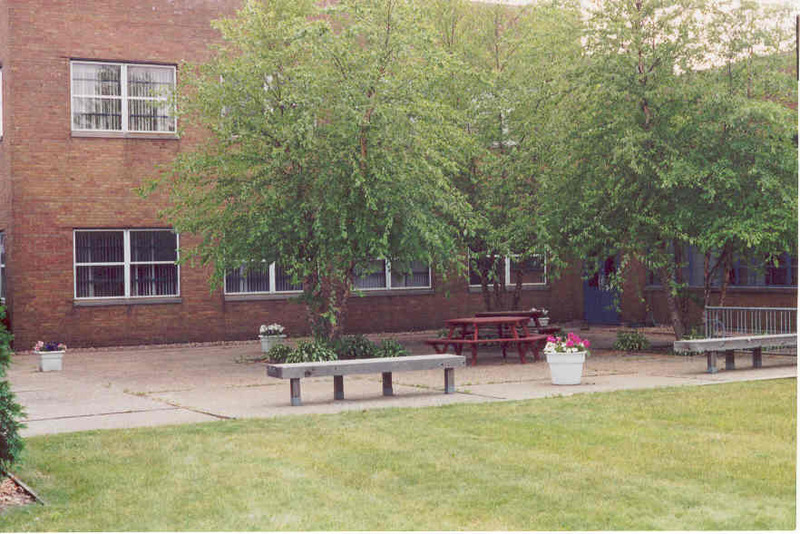 So (1990-94). 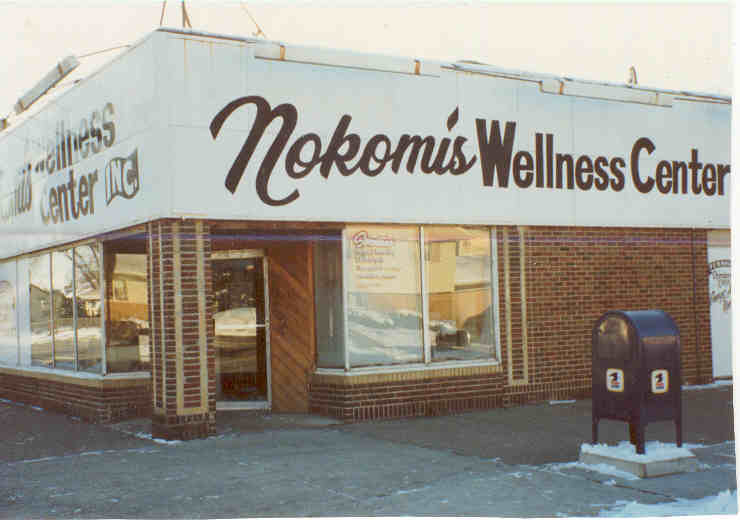 Beginning in September 1988, most services have been held in one of several rented facilities including 1624 Harmon Place (1988), 1614 Harmon Place (1988-89), and 4201 East 54th Street, the Nakomis Wellness Center (1989-90). 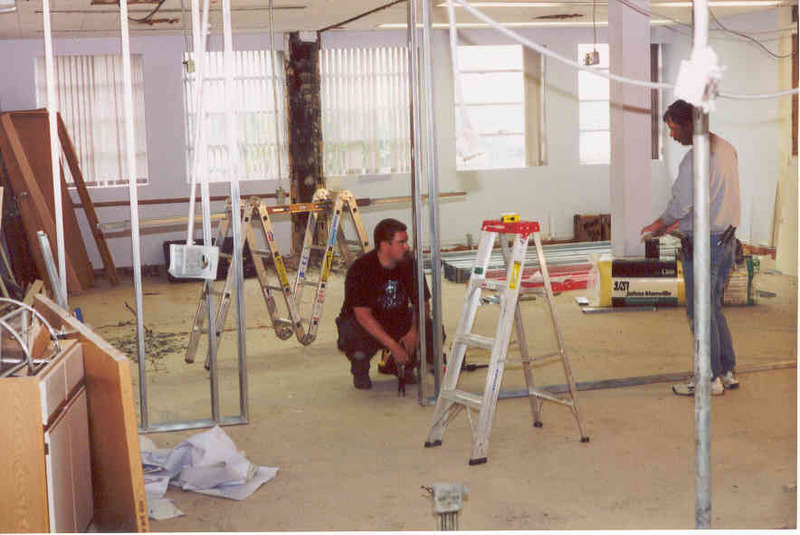 Many more pictures of our group locations can be found in our picture gallery. Our services are basically as peaceful as one can imagine, as we commune with God together. This normality was interrupted once, however, during one of our Readings Services when a tornado came alarmingly close to our chapel. The date was Sunday June 14, 1981 . 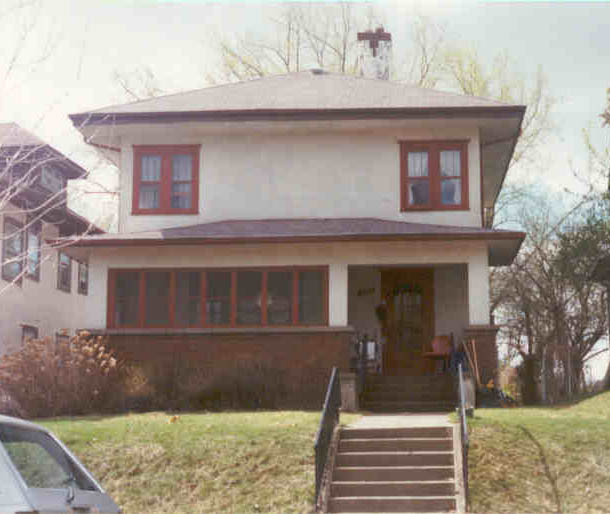 We were meeting in the living room of a devotee’s home in south Minneapolis . The sky was overcast and rainy and the temperatures were warm, so we had the windows open to let air in the chapel. We were devotionally turning our minds inward toward God during a meditation period, blocking out the sounds of the storm brewing outside. Despite my best efforts at concentrating within, I could nevertheless hear the thunder and lightening increase in intensity to the point where it sounded like constant thunder. [After this incident was over I thought back to recall this sound of constant thunder and can understand how a tornado is sometimes described as sounding like a freight train.] Suddenly the wind burst powerfully through the open windows, blowing papers from our information table in the back of the chapel onto the floor. The curtains blew almost parallel to the floor briefly. Then, just as quickly as the wind started, it reversed and sucked outward, drawing the curtains out to the screens. Two devotees quietly closed the windows and one devotee briefly straightened the papers; we again devotionally focused our attention on God’s peace within. It wasn’t too much time thereafter when we heard other distractions, however – police and fire truck sirens began sounding in the neighborhoods nearby. Once again, we focused within. 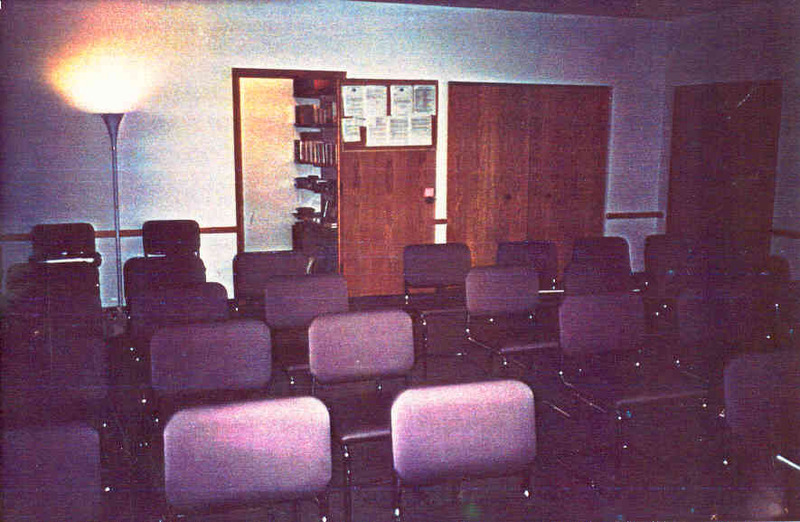 The final distraction occurred when one of the Minneapolis Meditation Group devotees came bursting into the chapel, rushed to the front of the room, and spoke to the service reader saying, “I just saw a tornado pass over 35W as I was coming to the service!” The service reader acknowledged this event, quietly directed the devotee to take a seat during the remainder of the meditation, and the service commenced until completion. Nevertheless, the distractions remained for the remainder of the service in the form of the sirens and traffic outside. By the end of the service, of course, we had a pretty good idea that we had just had a close call with a tornado. 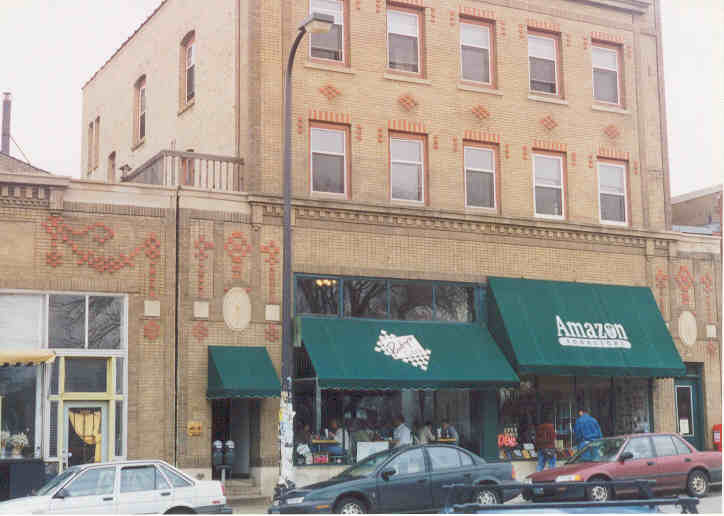 It was after the service ended that we walked up to 50th and France Avenue, about 3 blocks away, and notice the Edina Theater marquee tumbled onto the street, trees downed, and a florist shop’s windows shattered. Indeed, we had had a close call with a tornado which after coming through our neighborhood had headed northeast, passed over Lake Harriet , and continued over Interstate Highway35W beyond. It was the very tornado that the devotee had seen on his way to our service. I think we can definitely say that Guruji blessed and protected the Minneapolis Meditation Group members on this occasion! 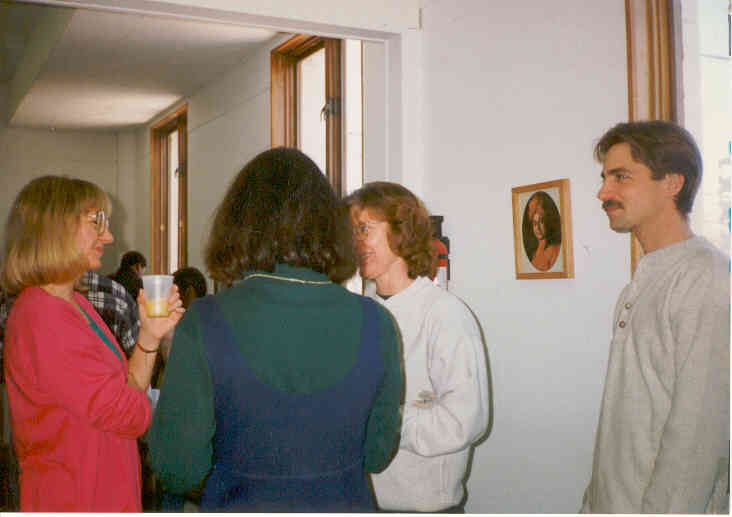 Retreats have been an annual event for the Minneapolis Meditation Group over the years. 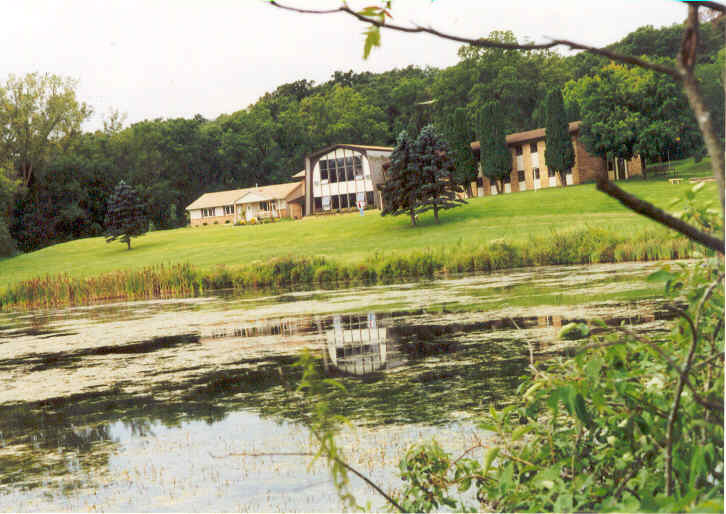 During the summers of 1983-88, all-day retreats were held during the summer at the YWCA Lyman Lodge Conference Center on Lake Minnetonka. 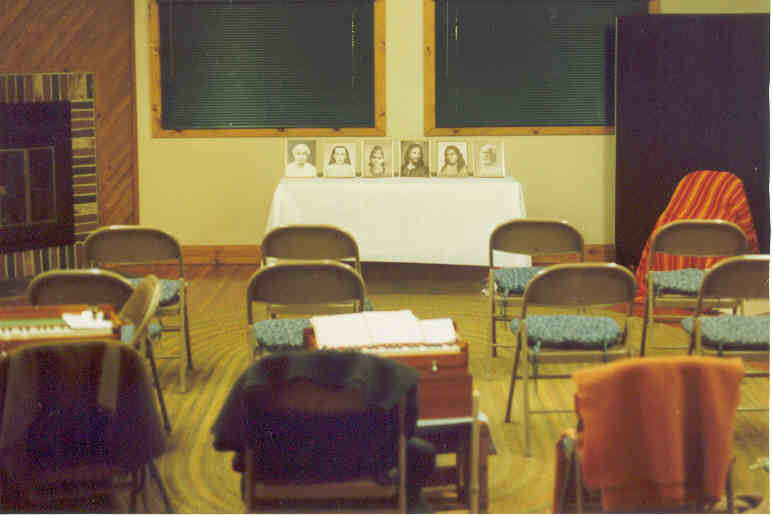 Each of the retreats had periods of meditations, typically with kirtan accompaniment. 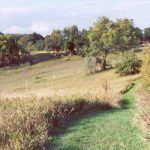 We also had periods of free time when devotees could either walk the peaceful hiking paths through the woods surrounding our cabin or perhaps meditate or read on the shores of beautiful Lake Minnetonka. All-Day Christmas meditations were also held at the Lyman Lodge. This sylvan, peaceful setting was a wonderful getaway from our busy lives and was very conducive to meditation. 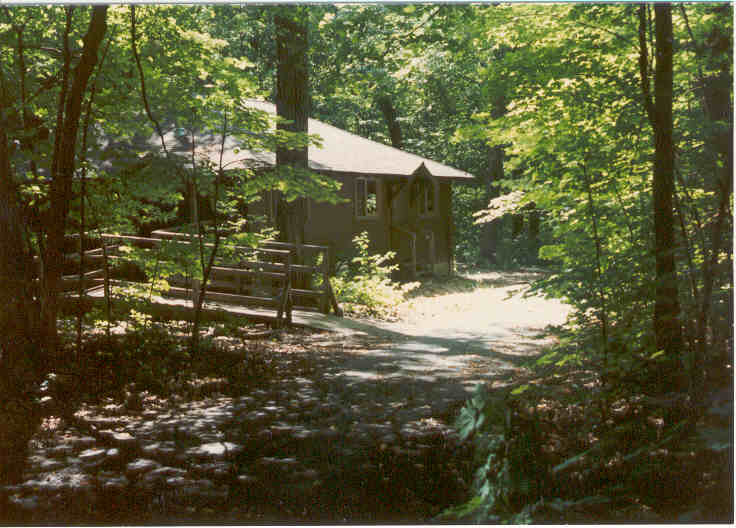 In 1989, the Lyman Lodge was sold and thus was not available for our retreats and Christmas meditations. 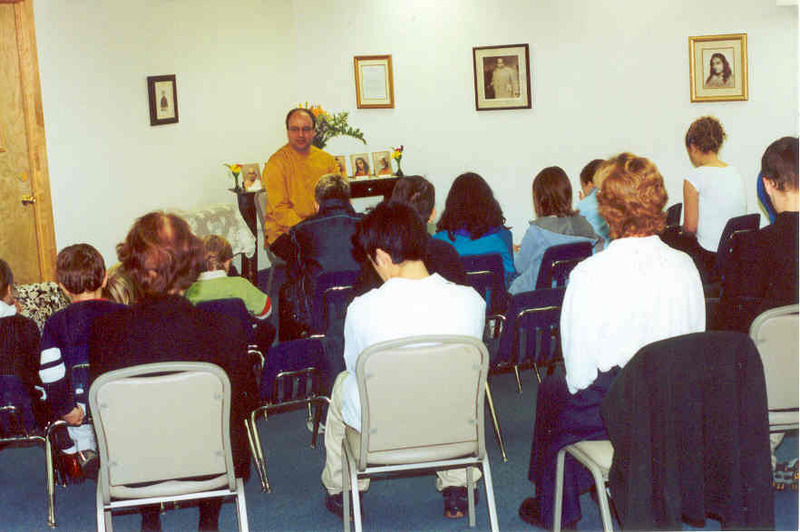 Since that time, most of our all-day retreats and Christmas meditations have been held at the various Group locations. 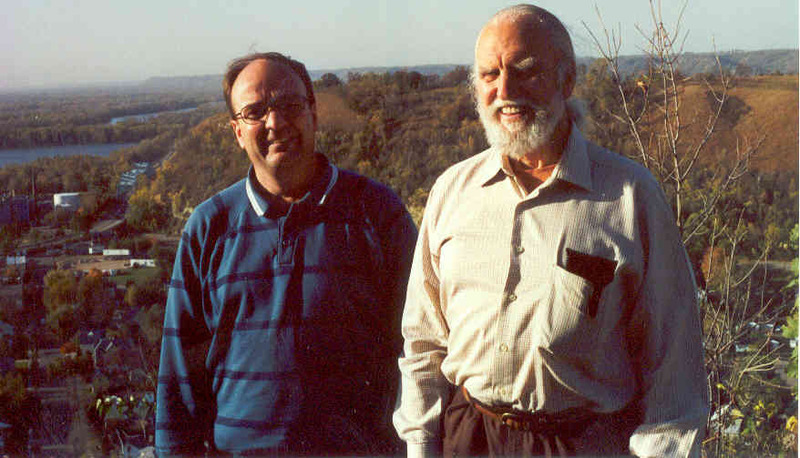 In about 1989, an all-day Christmas meditation was held at YMCA Camp Ihduhapi in Loretto. 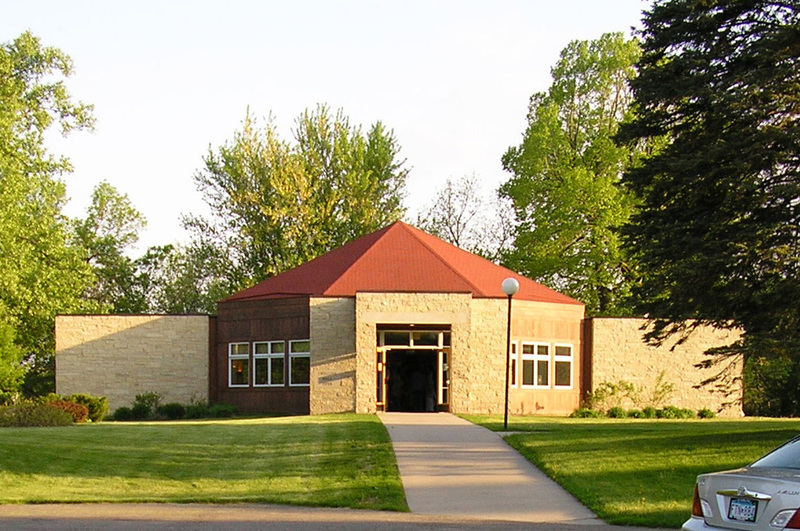 An all-day retreat was also held on November 21, 1992 at the Cenacle, a retreat house in Wayzata run by a Roman Catholic group of sisters. 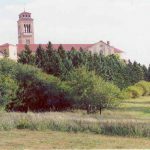 On August 21, 1999 we had an all-day retreat at the Dunrovin Retreat Center on the banks of the St. Croix at Marine on St. Croix. It was a very nice setting with quiet and spacious grounds. On May 20, 2000 we had an all-day retreat at Friendship Ventures in Eden Prairie. 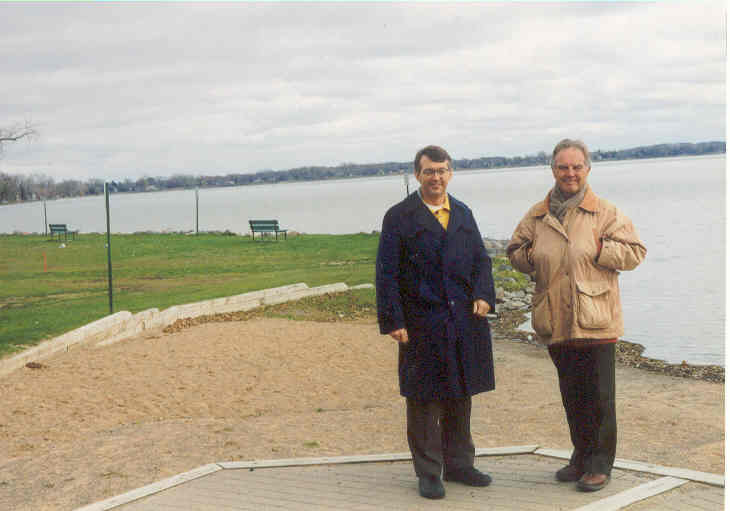 The Retreat Center had 20 wooded acres with hiking trails in a peaceful setting adjacent to Birch Island Lake. 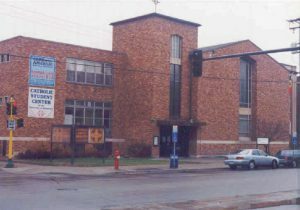 We had weekend retreats at the Assisi Community Center in Rochester at least once or twice per year from 2001 through September 2003. 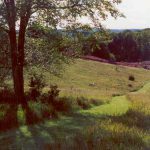 The serene setting, situated on 100 wooded acres of rolling hills, was quite conducive to meditation and introspection. 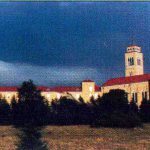 It was a wonderful place for spiritual renewal that resembles the Basilica of Saint Francis of Assisi in Italy. There were many peaceful hiking trails conducive to introspection replete with trees under which one feels like meditating. 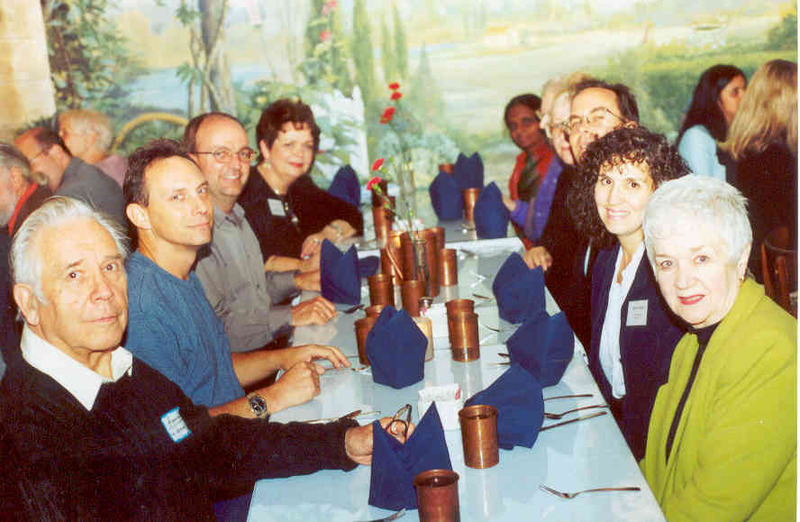 One very peaceful setting for meditating was known as “the grotto.” All of the meals were served in a beautiful large dining room. 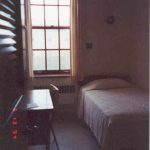 The simple sleeping rooms contained the basics. Additional pictures of Assisi Heights can be found in our picture gallery. 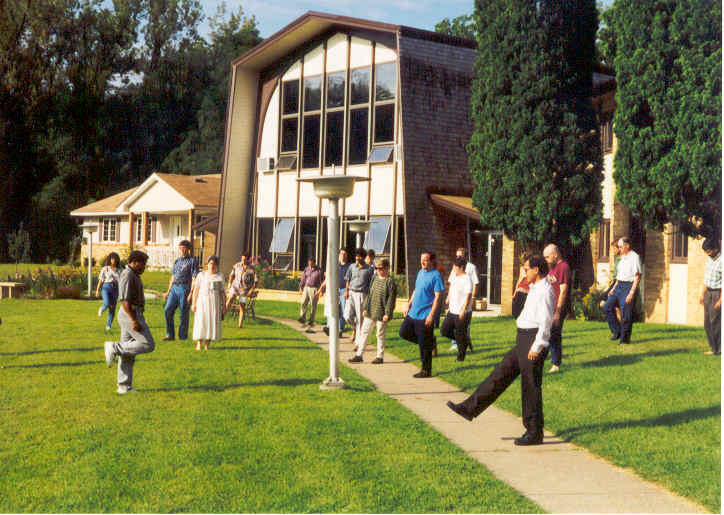 We were disappointed when the Assisi Community Center closed its doors to retreats beginning in 2004. Thus, we searched for additional facilities for our weekend retreats. 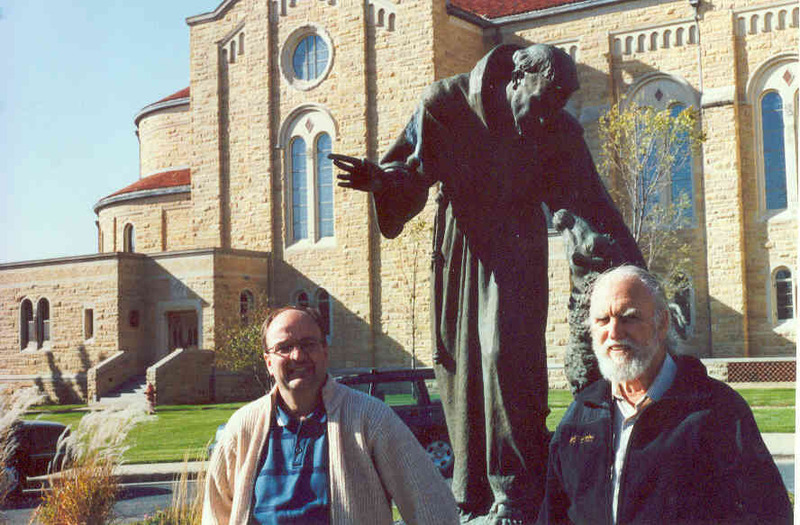 In May 2004 our weekend retreat was at St. John’s University in Collegeville. Although those who attended enjoyed their retreat they found the retreat somewhat unsuited to our needs. 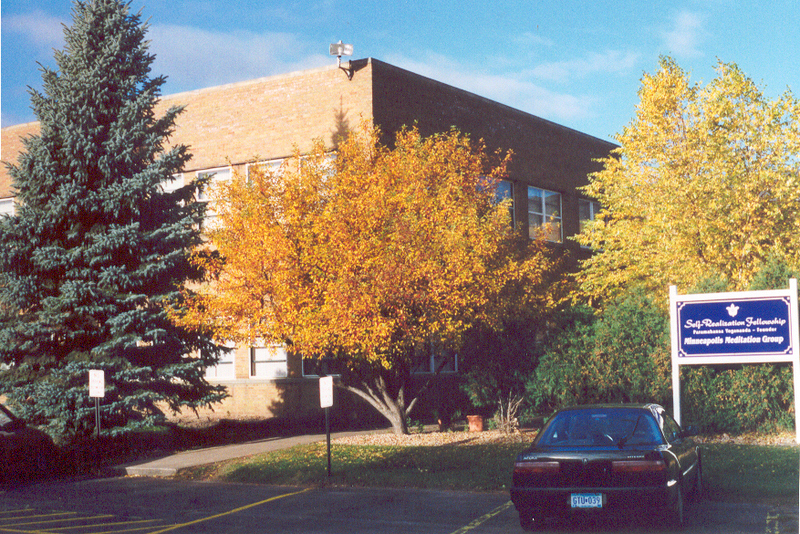 In November 2004 our weekend retreat was at the Franciscan Retreat Center in Little Falls. We greatly enjoyed this spiritual getaway and would be interested in returning sometime. 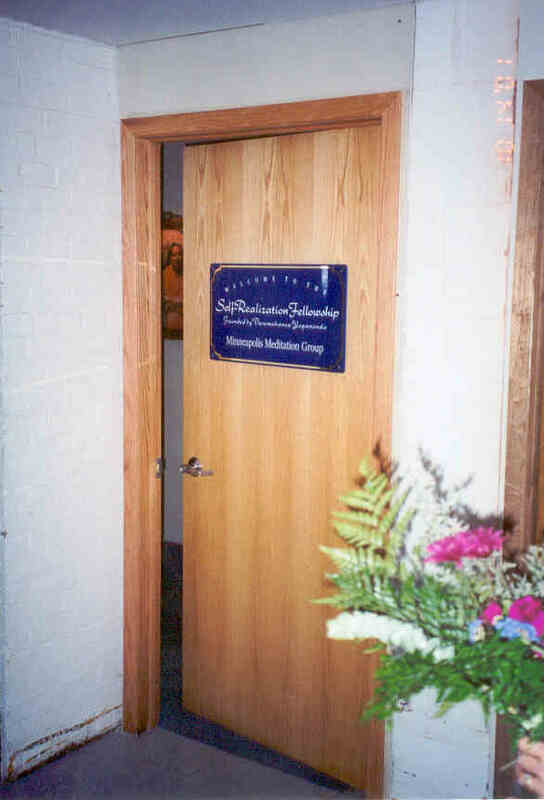 The infusion of many new devotees in 1993-94 began a period of growth for the Minneapolis Meditation Group. 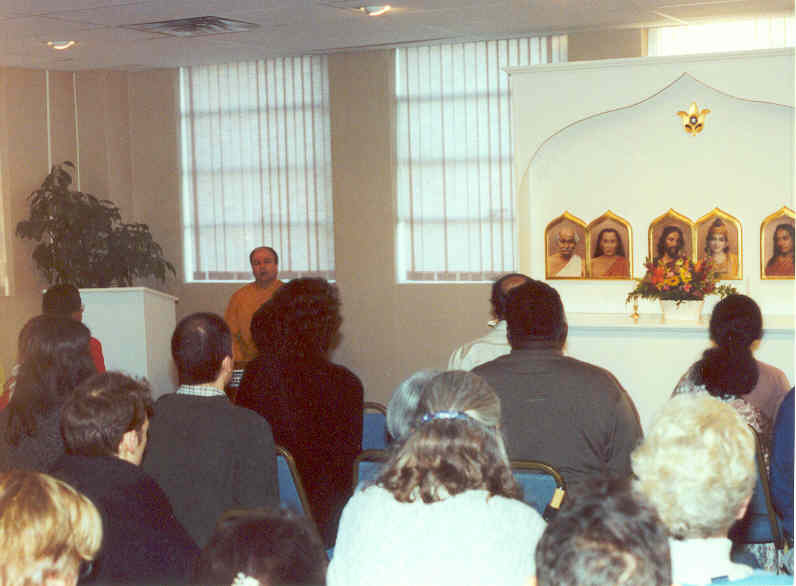 Attendance at the Sunday services had grown to about 15-20 devotees, which began taxing the limits of our location at 4017 Aldrich Avenue South. 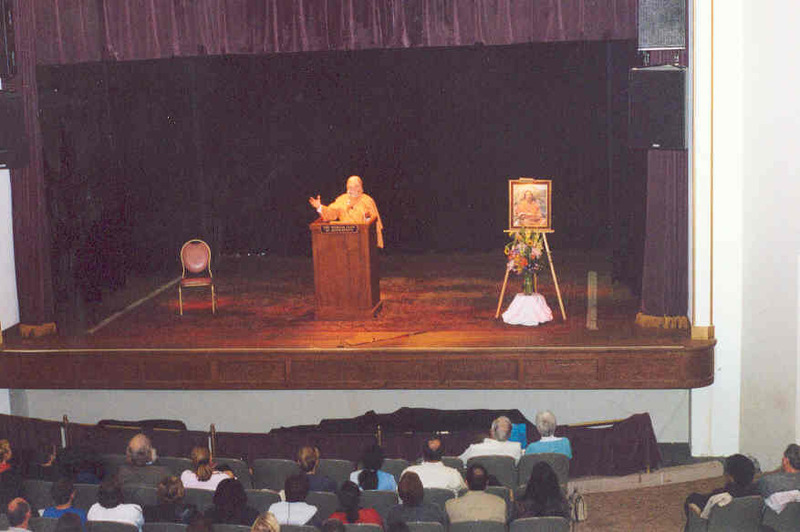 It was wonderful to see how Paramahansaji had guided many strong SRF devotees to Minneapolis from locations across the country and the world. 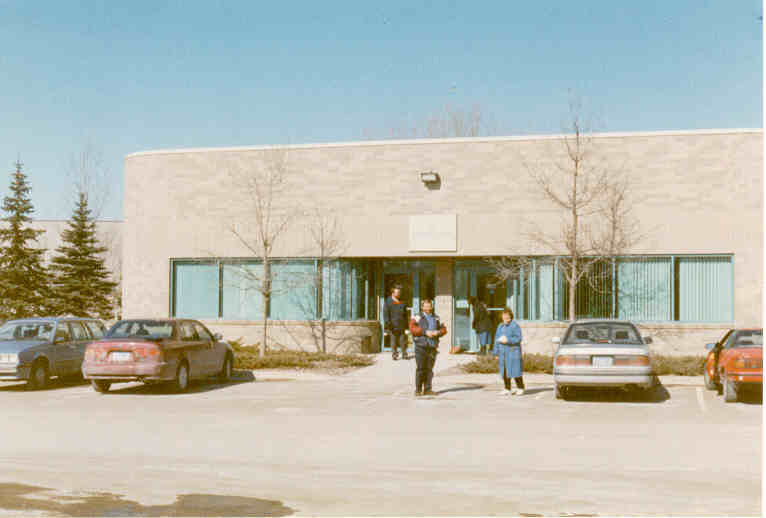 As a result of this growth, in June 1994 the group began holding services in a business office at 4248 Park Glen Road in St. Louis Park. 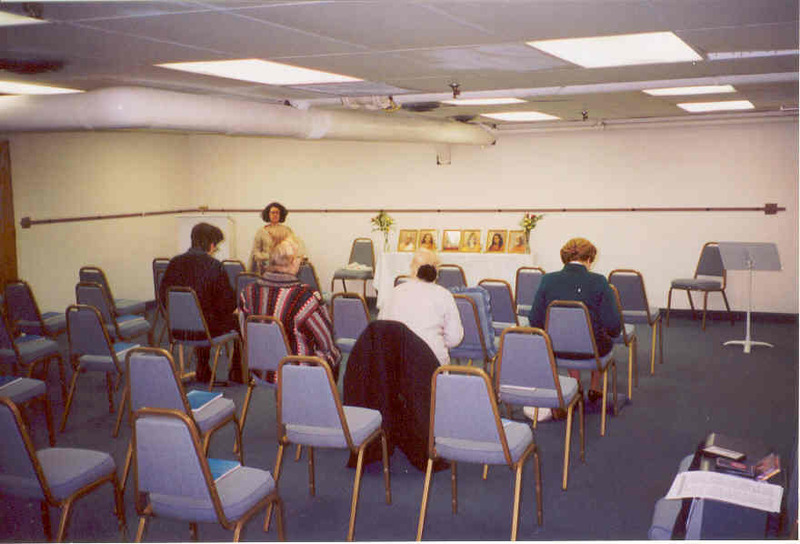 At this spacious location, the meditation services were held in a large meeting room that was able to accommodate our growing numbers. 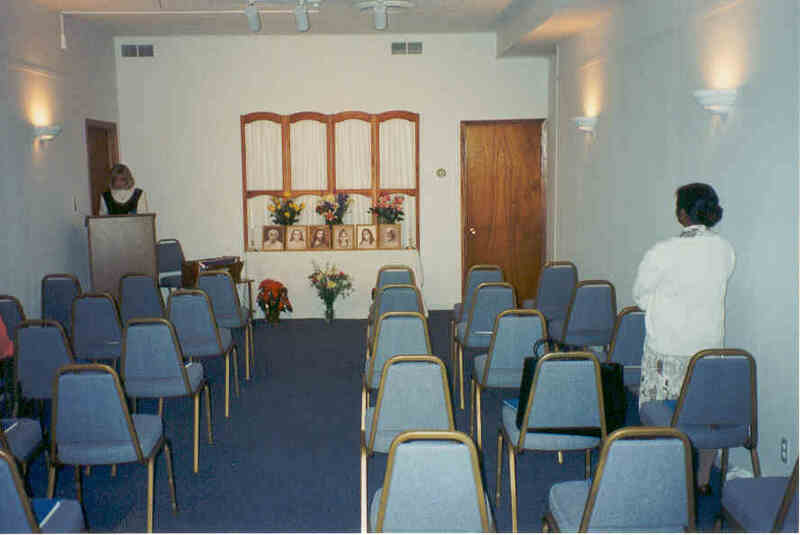 About 32 chairs were put up for each service. 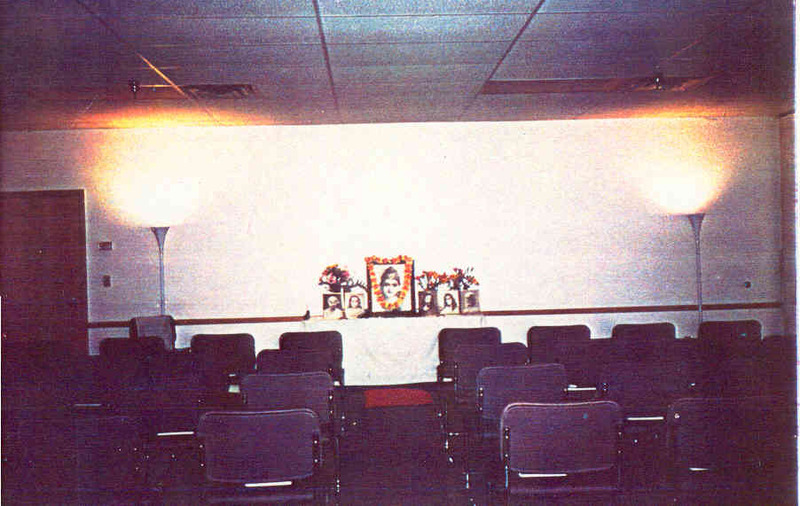 Here is a view of the left and right sides of our “chapel” setup in the meeting room. 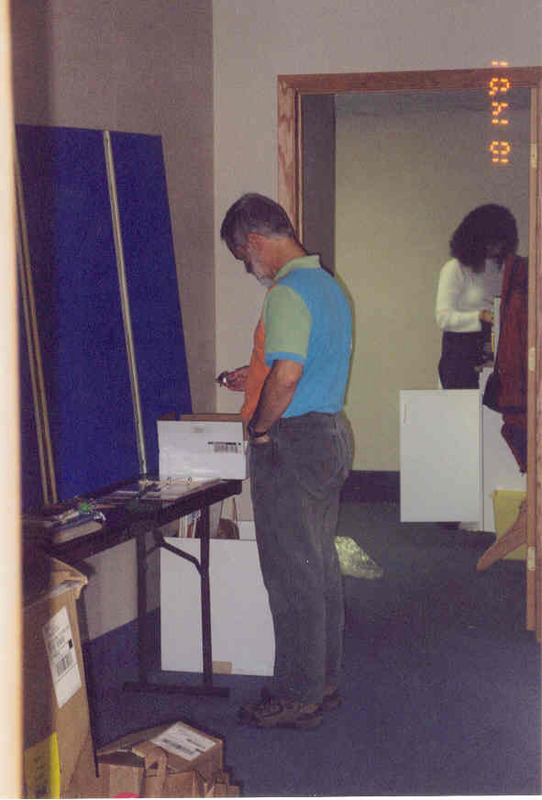 We stored our supplies in a storage room at the back of the “chapel” and we converted a small closet into our bookroom, both of which can be seen in this picture. We held services at this location for about two and one-half years, including this Janmashtami service held on August 29, 1994. Not only were new devotees attending services, but also many of these devotees had children. 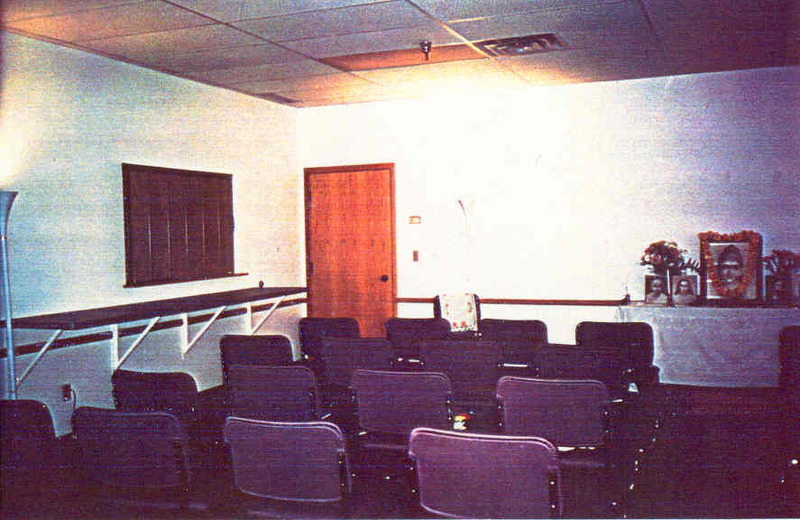 Thus, the need of a Sunday school was realized in 1994. The school was held every Sunday during the school year in an adjoining part of 4248 Park Glen Road. The spiritual principles and teachings of Paramahansa Yogananda are taught to the children, ages 3 and up. 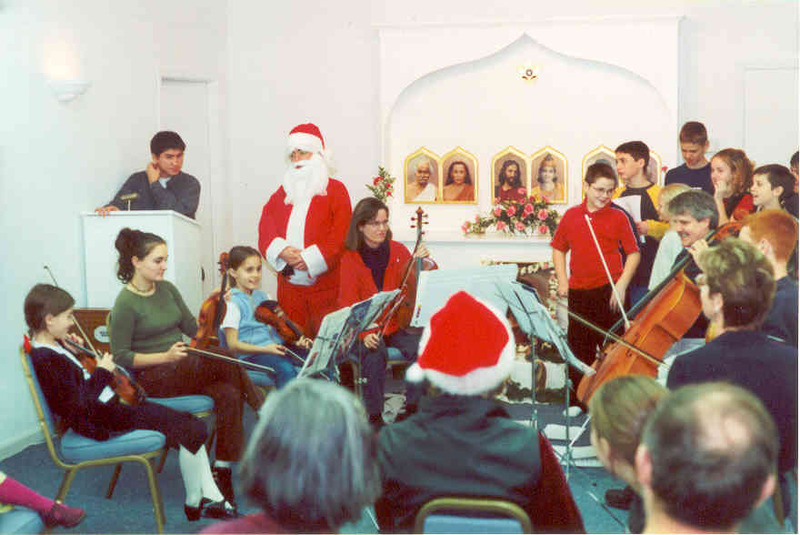 Included in the activities for the children is a Christmas program where they perform for the Group. 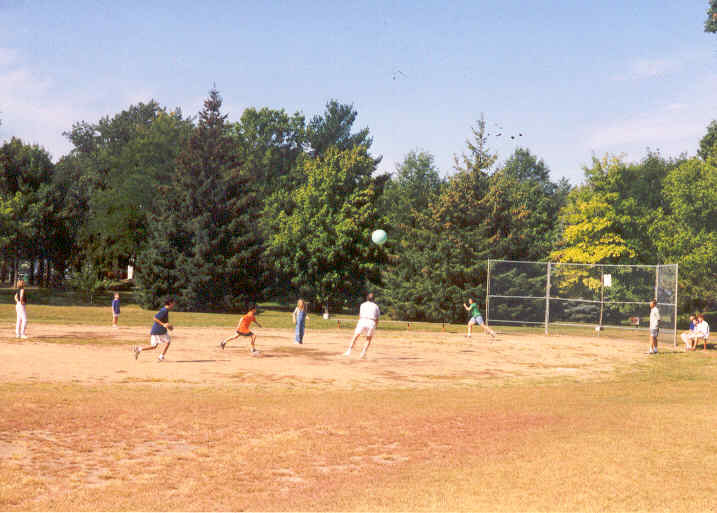 As the children grew into teenagers, youth group activities were added in 1998. 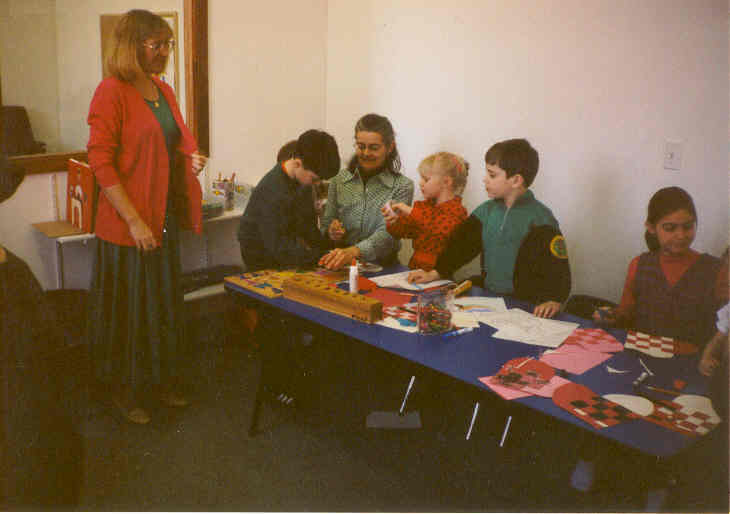 Many more pictures of our Sunday school activities can be found in our picture gallery. 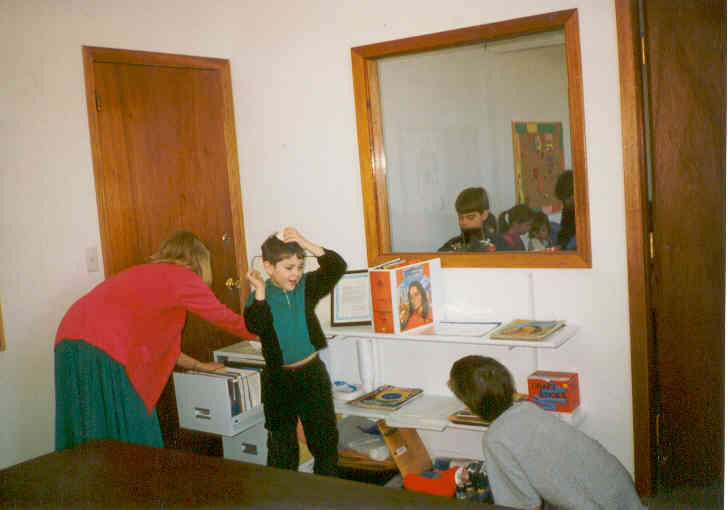 Initial plans for the Sunday school began in the 1980’s when local devotees began making inquiries about starting a school. Because the group was relatively small at that time, however, the Center Department recommended that we postpone establishing the school. These humble beginnings make it all the more gratifying for us to see the happy faces of our children learning to live the teachings of Paramahansa Yogananda. 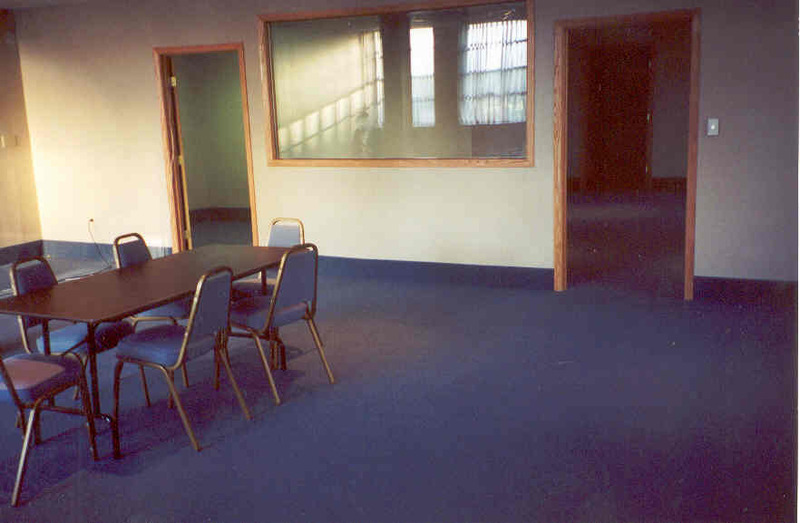 Due to continued growth of the Sunday school, and the need for more space for the Group as a whole, a new and more permanent meeting location was located at 4524 Excelsior Blvd. in St. Louis Park. This was a very special move for the group because the chapel and altar was set up permanently, and didn’t need to be taken down after every service. 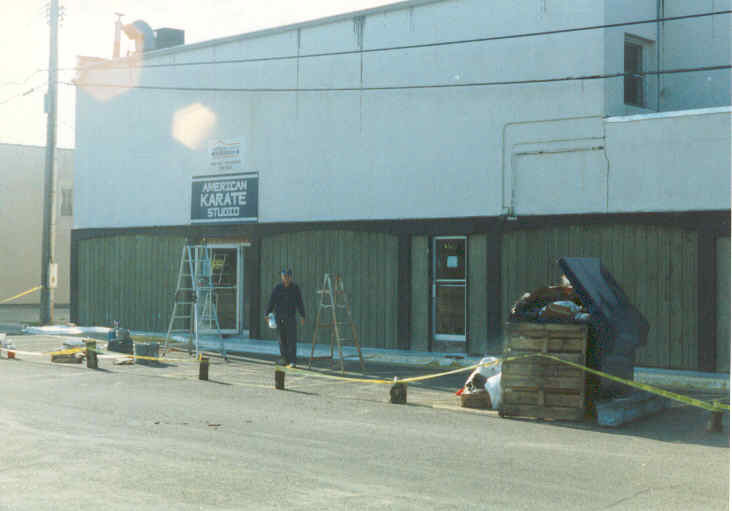 We had to do quite a bit of remodeling ourselves before we could hold our first service. 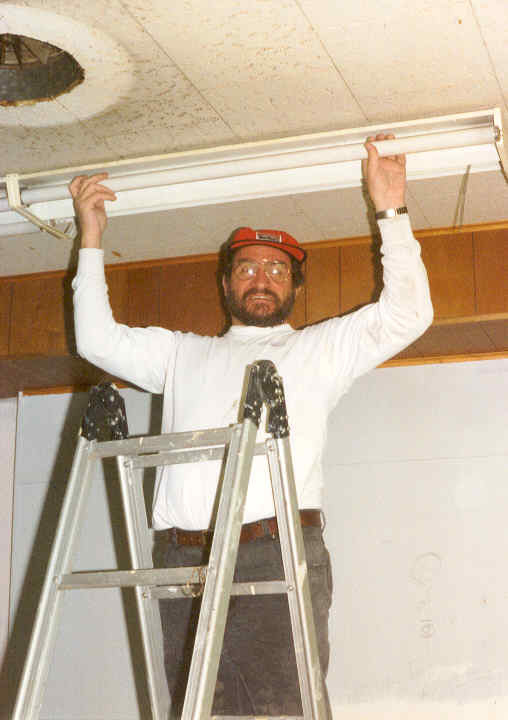 The remodeling “Temple Days of Service” in November 1996 included removing walls and doors, installing doors, painting, installing light fixtures, and other work. Numerous other devotees not caught on film also helped – many, many thanks and God’s blessings to you all! 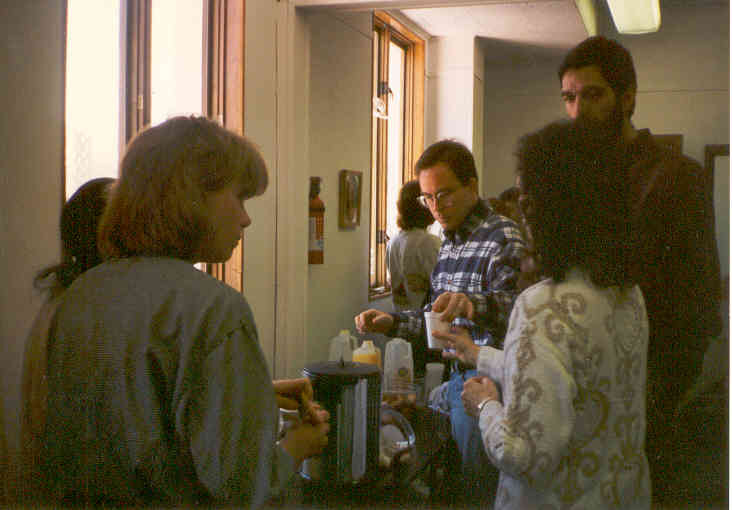 In December 1996 the group held its first service. 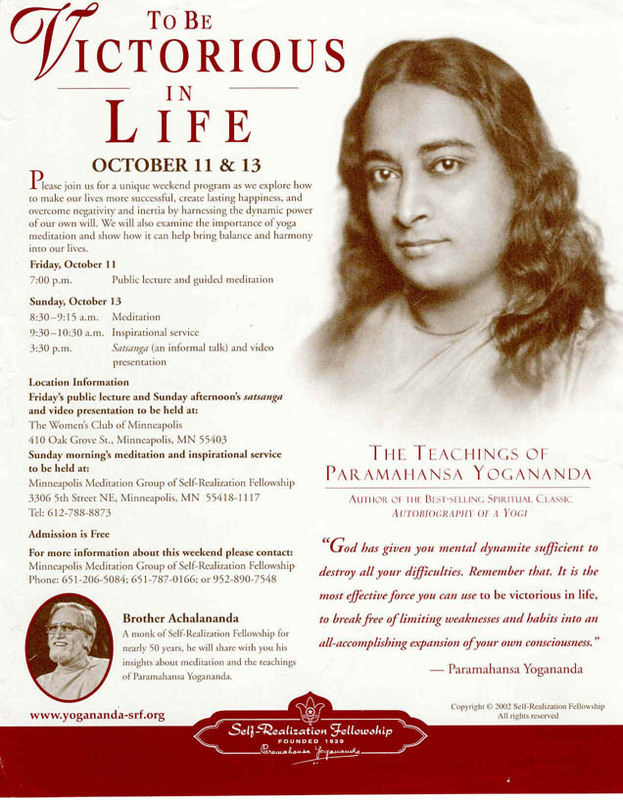 Advertising in newspapers like The Edge, The Phoenix, Twin Cities Wellness, and The Minnesota Daily has helped the Group continue to grow and help to spread Paramahansaji’s teachings. 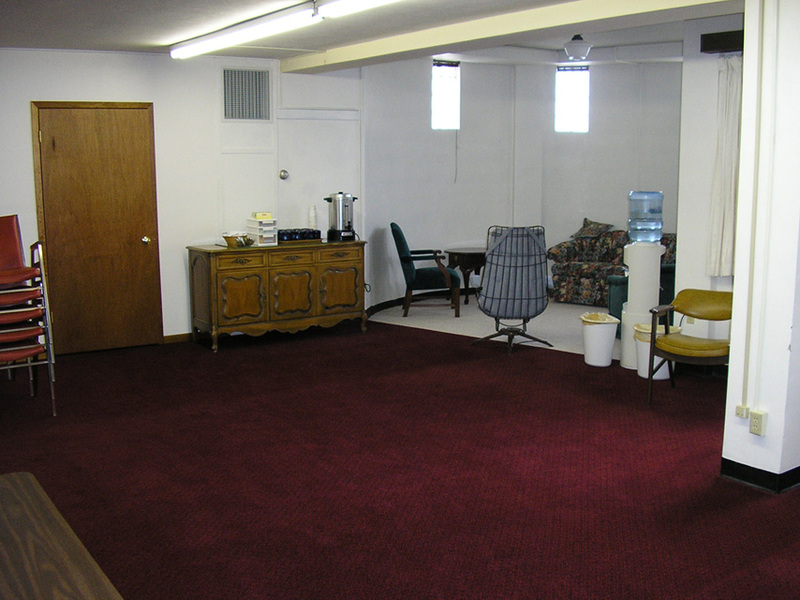 Here is our completed Sunday School and bookroom areas at 4524 Excelsior Blvd. 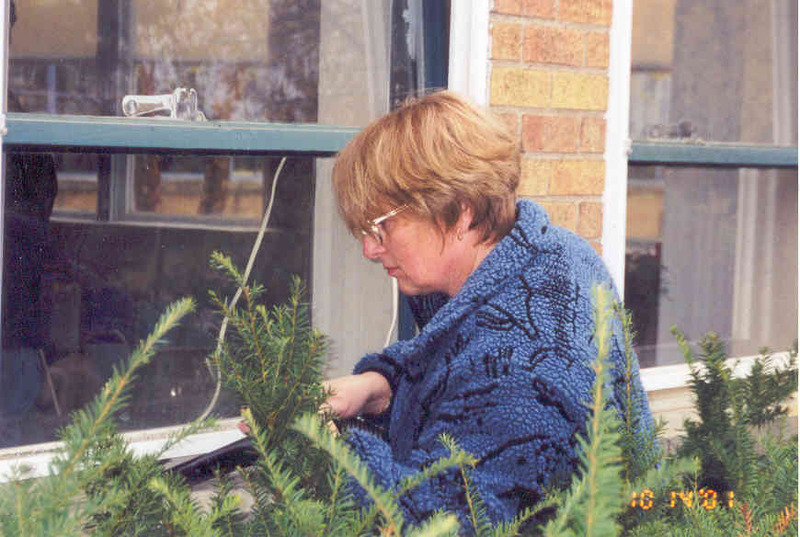 just before Christmas 1996. Our new chapel at 4524 Excelsior Blvd. 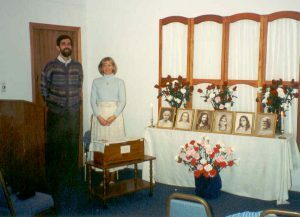 was dedicated during a service on March 2, 1997. Here is a view from the frontand back of the chapel. 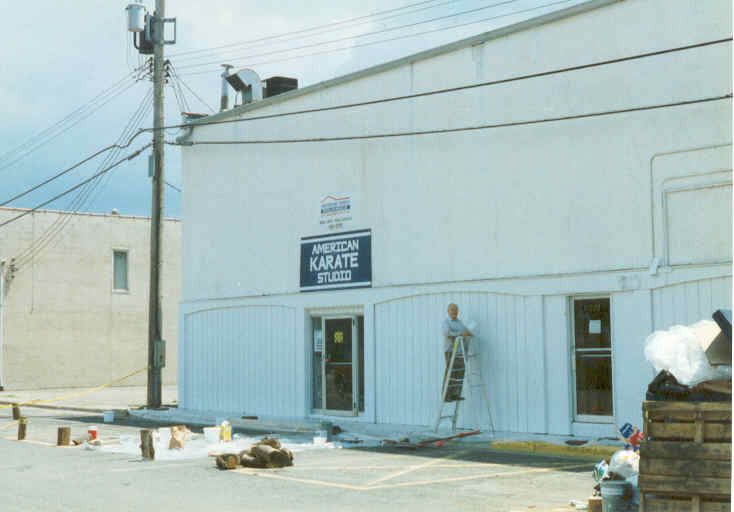 We decided that the front wall of the building needed a new coat of paint. 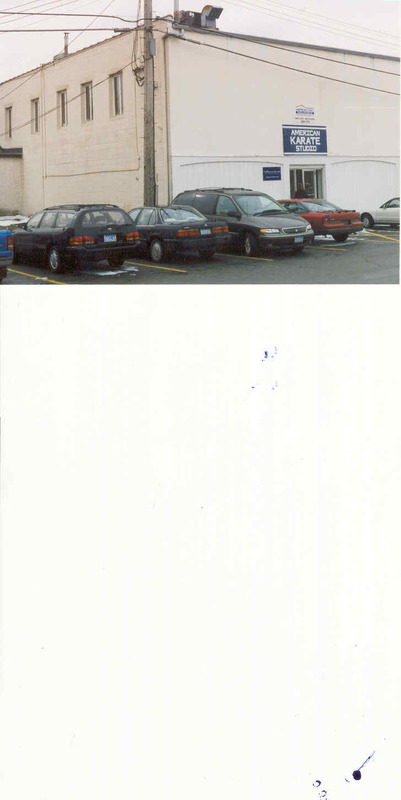 Here it is before painting by group members on June 7, 1997 and after. Sunday School activities were wonderful at this location. The children learned much and had a lot of fun! 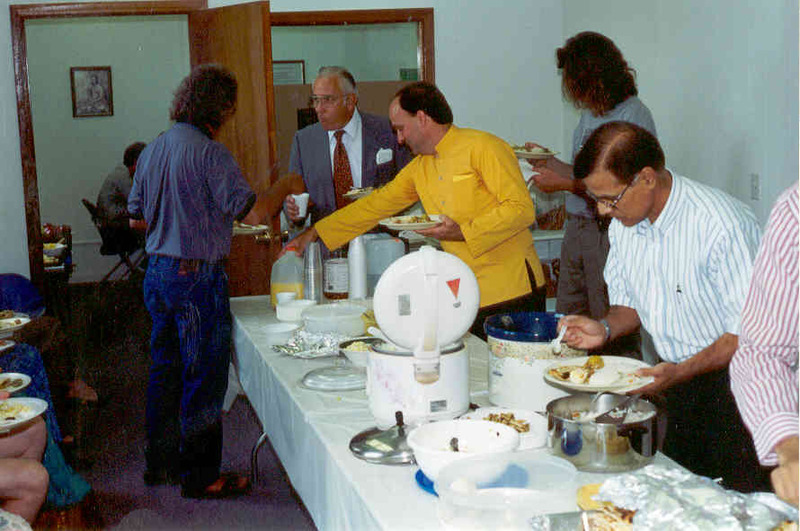 We had monthly potlucks here, which always was an enjoyable time of spiritual fellowship. 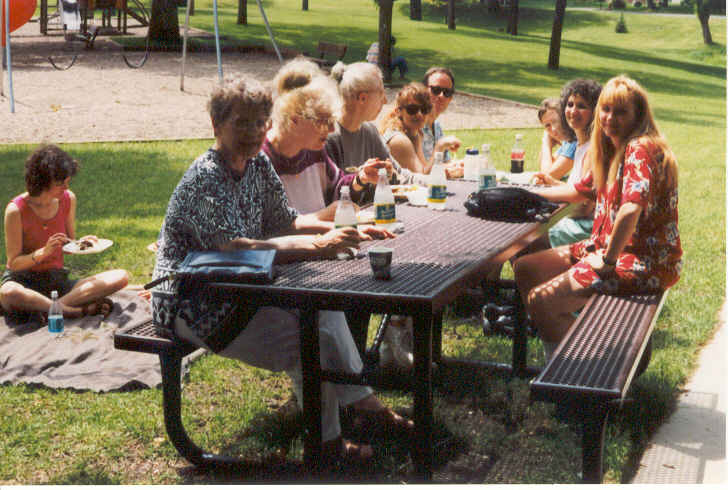 Picnics at nearby at Oak Hill Park were a wonderful way to both kick of the summer vacation and begin the new school year in fall. 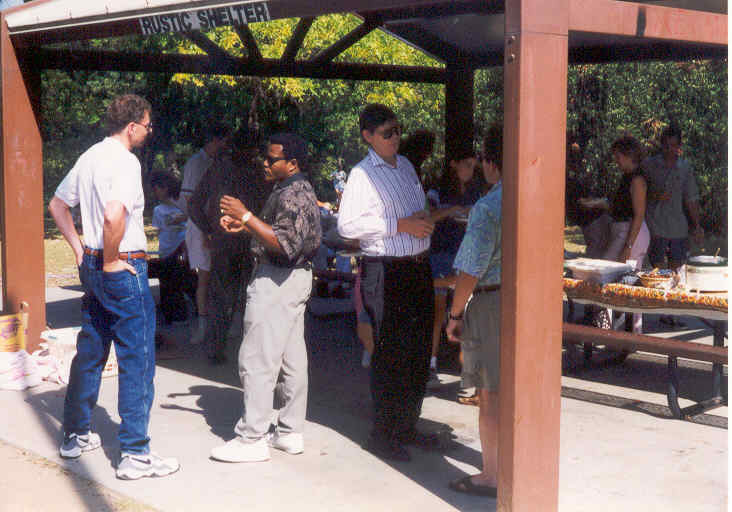 Here several devotees socialize during the September 13, 1998 picnic, which also included a rousing game of kick ball. No matter where we picnicked at the Oak Hill Park Master was with us. 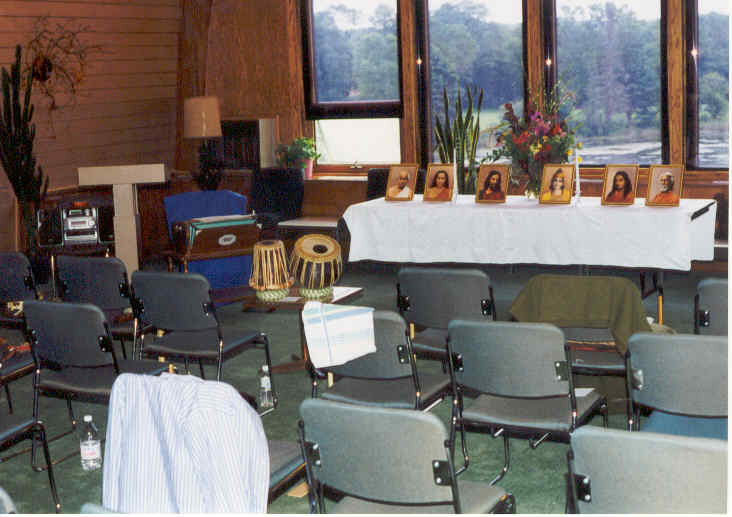 The Groups long-time yearning to host an SRF lecture tour was realized in 1998 when Brother Santoshananda and Brahmachari Douglas of Self-Realization Fellowship conducted a series of lectures and classes at the Woman’s Club of Minneapolis during November 6-8th. 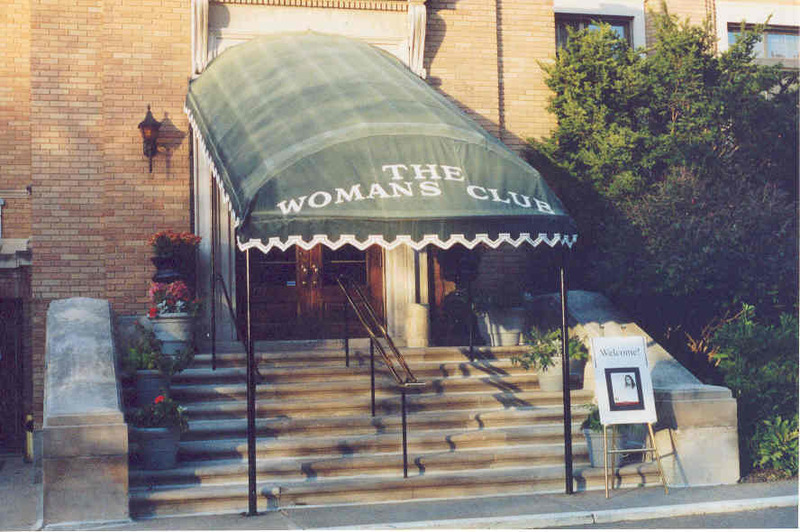 The Woman’s Club, with turn-of-the-century architecture and a canopied entry, has 19th Century charm and Stately elegance. 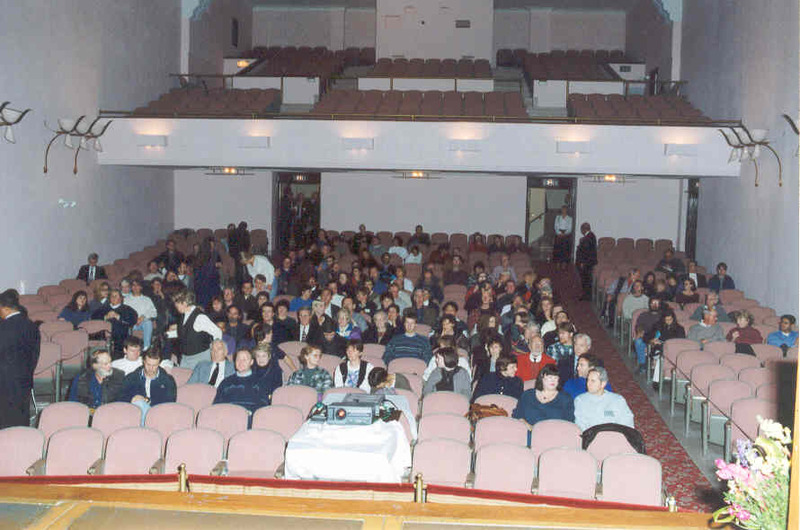 A theater-style auditorium with a capacity of 650 was used for thepublic lectures. 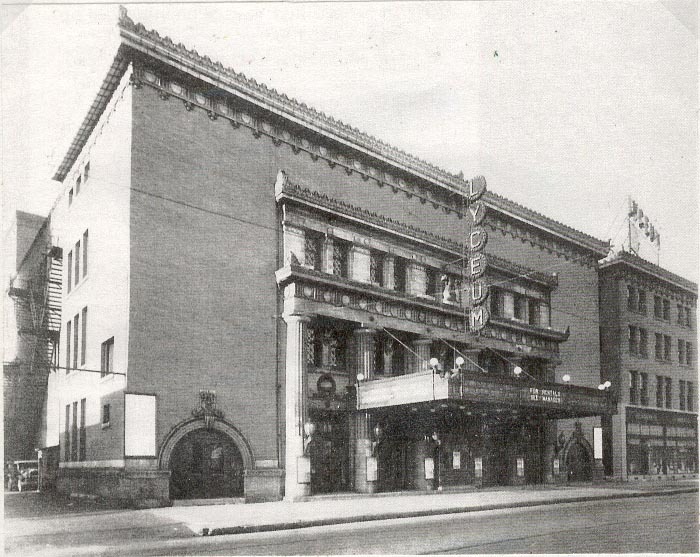 This auditorium is reminiscent of the Lyceum Theater where Paramahansaji lectured in downtown Minneapolis during 1927. 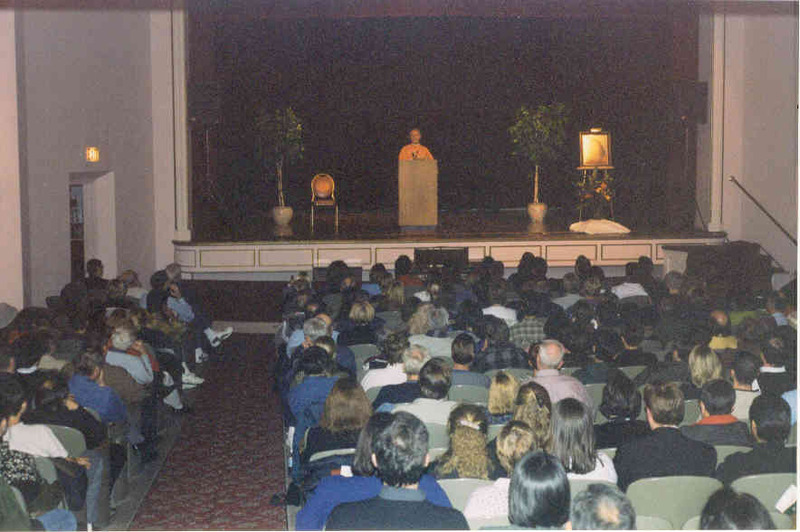 Brother Santoshananda gave a public lecture on November 6th entitled “Finding the Sacred in Daily Life: Keys to Unlocking the Gifts of the Soul” which was attended by about 280 people, many who were hearing of these teachings for the first time. Kriya Yoga initiation was given on November 7th. 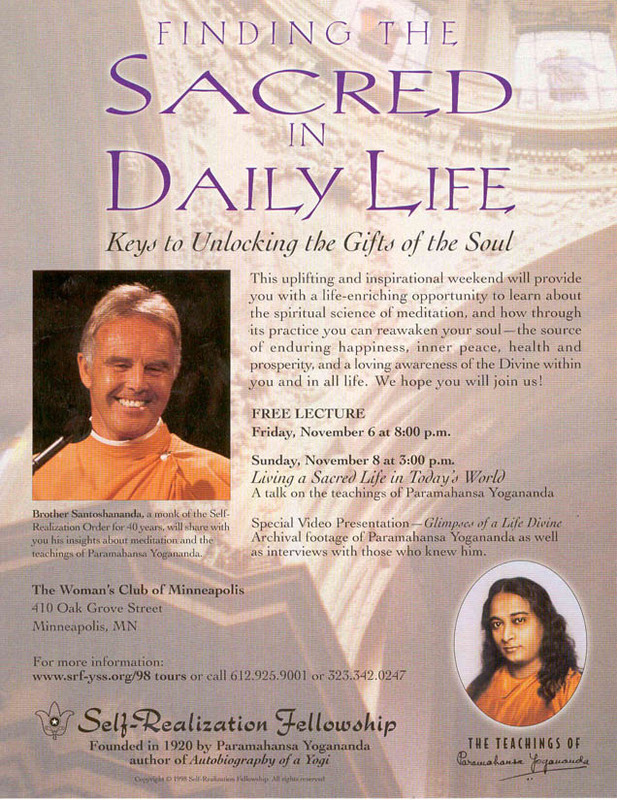 On Sunday November 8th meditation and inspirational services were lead by the Monks followed by another lecture and showing of the video “Glimpses of a Life Divine,” the inspiring story about the life of Paramahansa Yogananda. We finished off the festivities with a dinner at the India Palace Restaurant in Roseville. 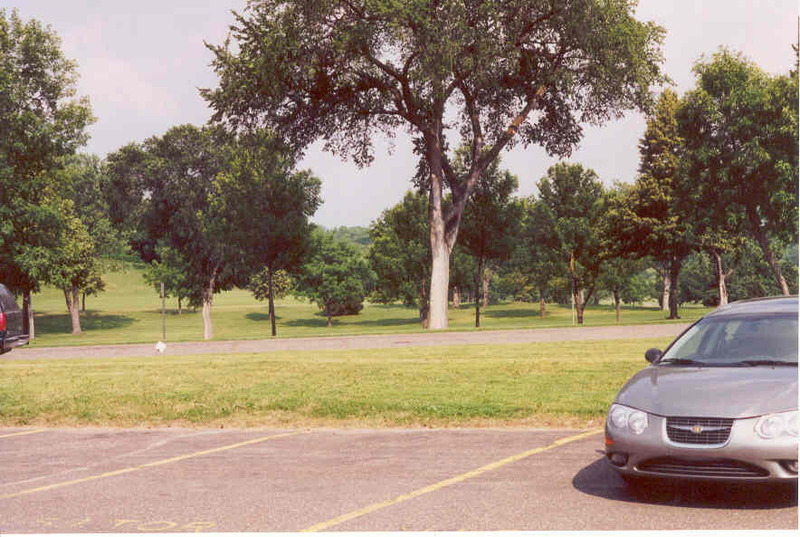 Between the various public and group activities, the monks had time to visit various scenic spots around the area including: the Minneapolis chain of lakes, Minnehaha Falls, Stillwater, Forest Lake (where Master wrote his poem To the Aurora Borealis), through the countryside in Wisconsin, and down the Mississippi River to Red Wing and Hastings. Additional pictures from this event are on our picture gallery. 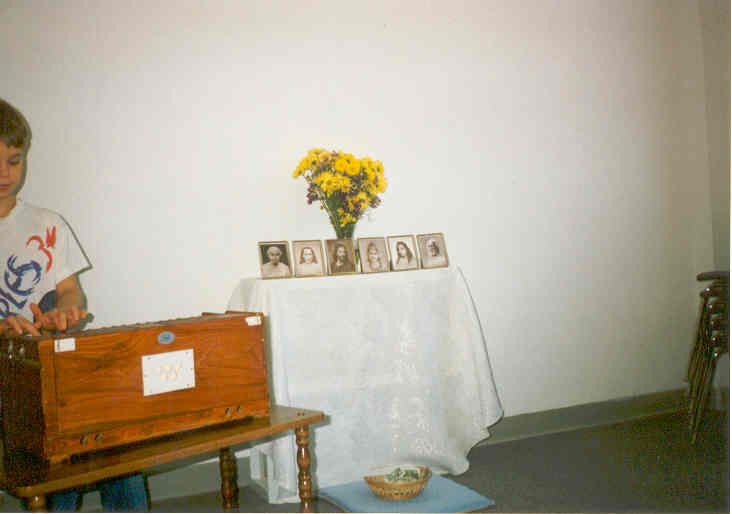 A beautiful new altar for the chapel was unveiled in the fall of 1998. 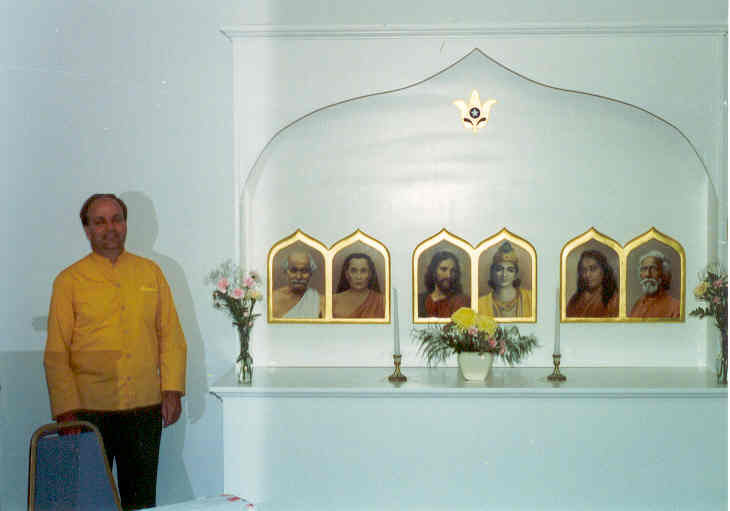 The altar was officially dedicated by Brahmachari Dominic on July 11, 1999. Local devotees constructed the altar and golden lotus emblem with loving devotion to God and Guru. The altar picture frames and gold leafing were done by a non-member. The topic of Br. 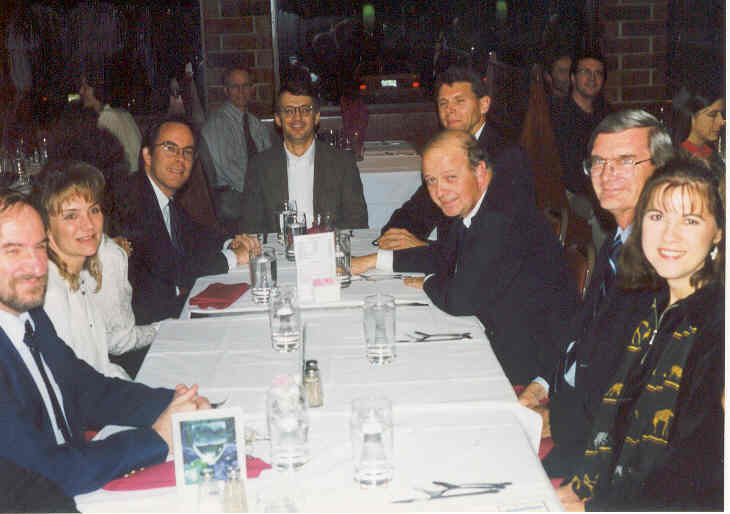 Dominic’s dedication service was “Divine Friendship.” We had a wonderful time socializing with Br. Dominic at a potluck following the service, including food catered from the Taste of India Restaurant. In addition to this dedication service on the 11th Br. 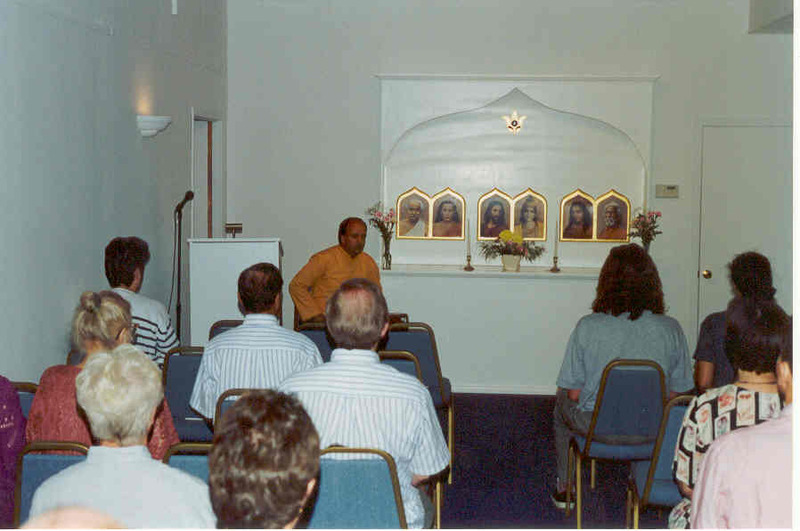 Dominic lead a Thursday evening inspirational service on July 1st where more than 40 devotees attended. We felt very blessed and privileged to have him with us. Thank you Br. Dominic! The Minneapolis Meditation Group was privileged to have Brother Devananda and Brother Pranavananda visit us November 7-10, 2000. 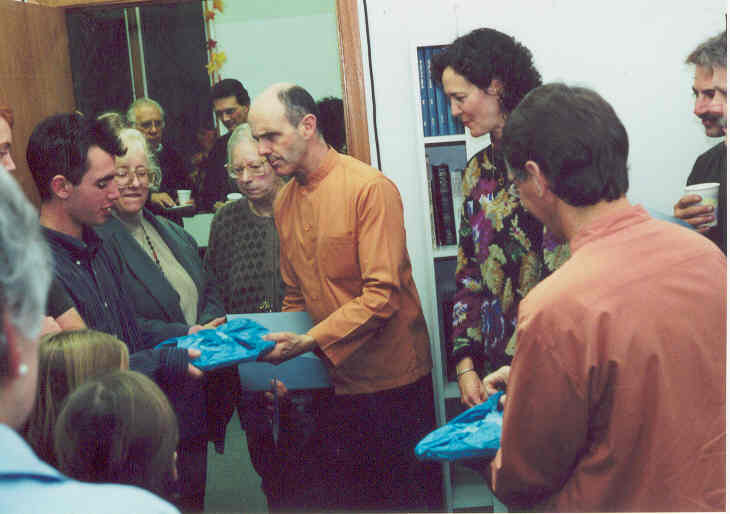 They had just completed a lecture tour to Boston and New York and were on their way back to Mother Center. What a joy to have this spur of the moment visit (we actually had a couple of months advance notice). 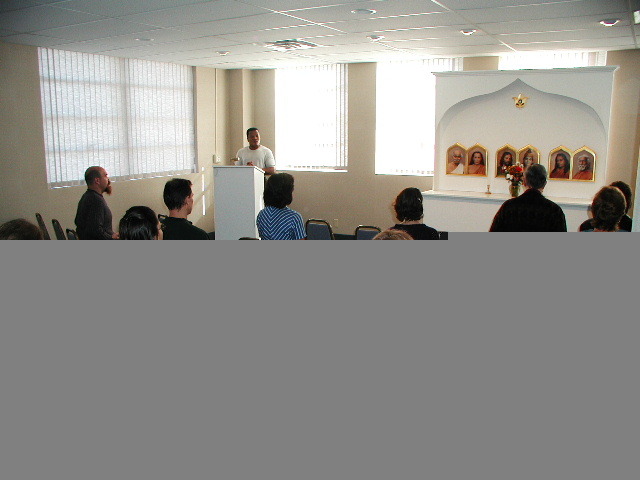 The main event was an inspirational service and satsanga held at our St. Louis Park chapel on Thursday November 9th attended by 43 devotees. 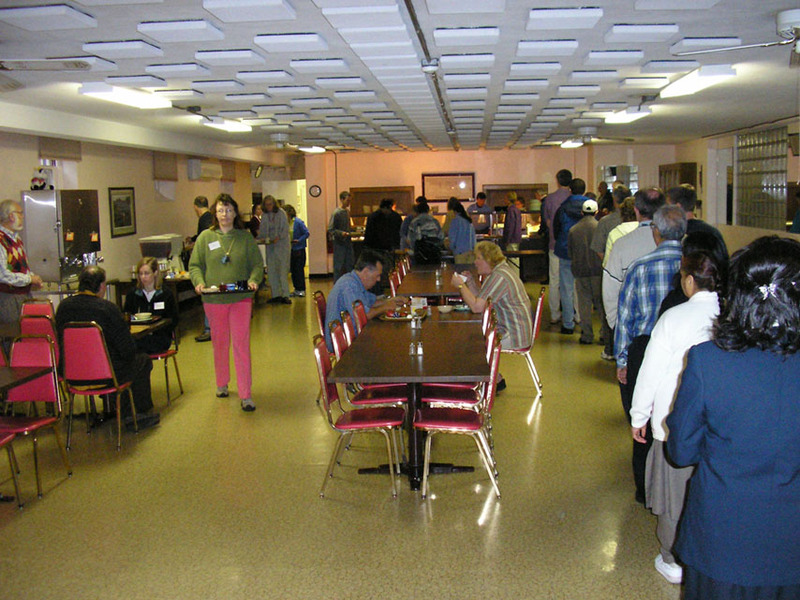 Following the service refreshments were served and the Brothers were given a presentof stepping stone made by our Teens. 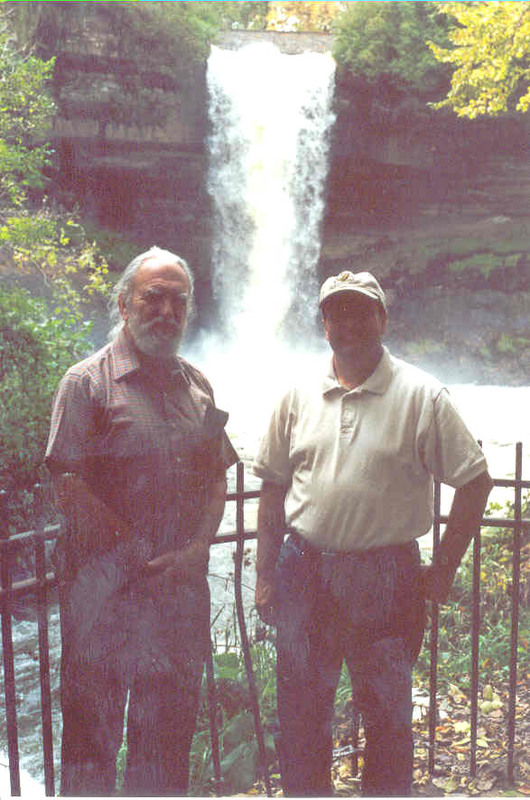 In addition to hiking along Minnehaha Creek in Minneapolis with the Brothers, they were also able to visit several scenic spots in the area such as Minnehaha Falls. Thank you so very much, Brother Devananda and Brother Pranavananda, for bringing the teachings of God and Guru to us!! Additional pictures are on our picture gallery. 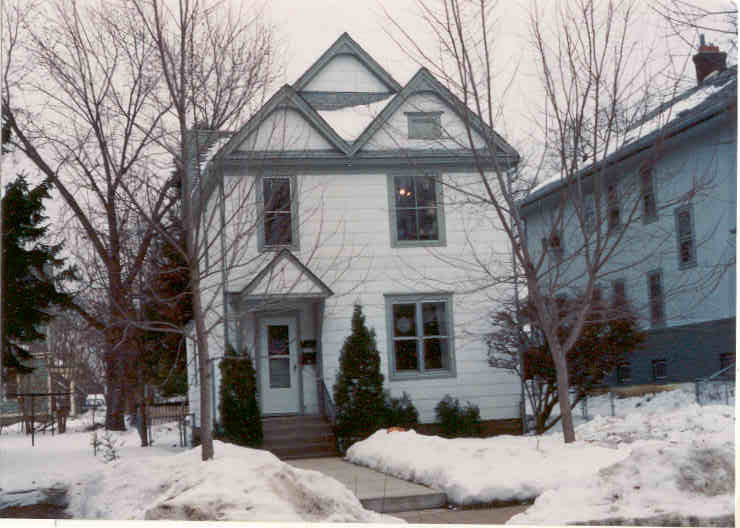 On April 29, 2001 the Meditation Group moved to 3306 5th Street NE in Minneapolis. 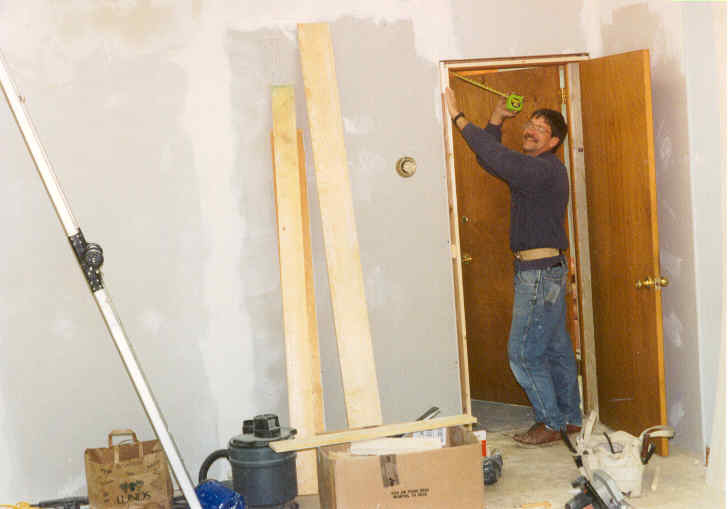 We were forced to move from our St. Louis Park location due to a new housing development. 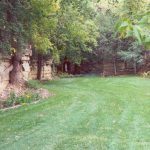 The new location is very quiet with a wonderful picnic area outside our chapel and Columbia Park Golf Course is across the street. 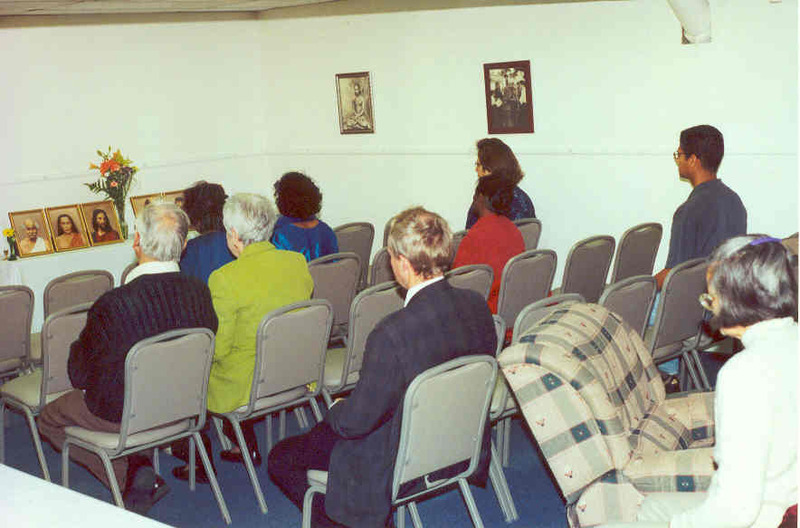 Because our chapel was not ready when we moved, we temporarily met in our social room on the 2nd floor from May through October 2001 while the remodeling of our new 1st floor chapel was in progress. 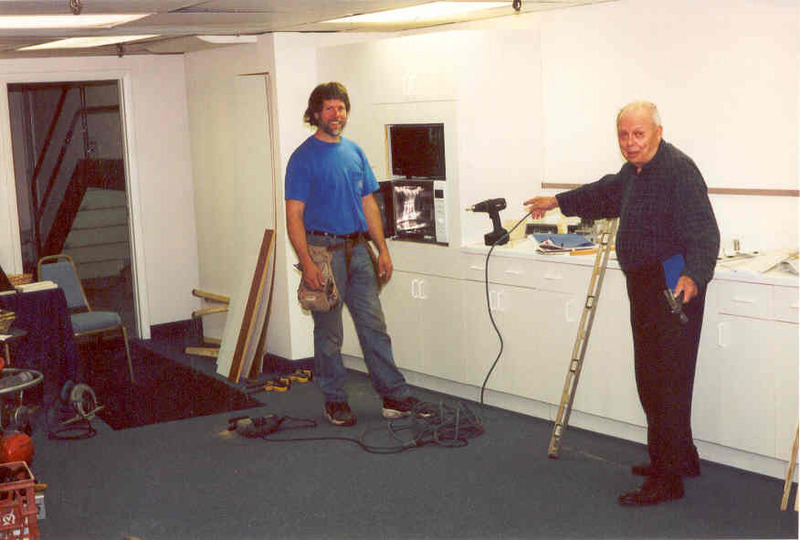 Rick and Art installed the new cabinets in the social room before we had our first service. 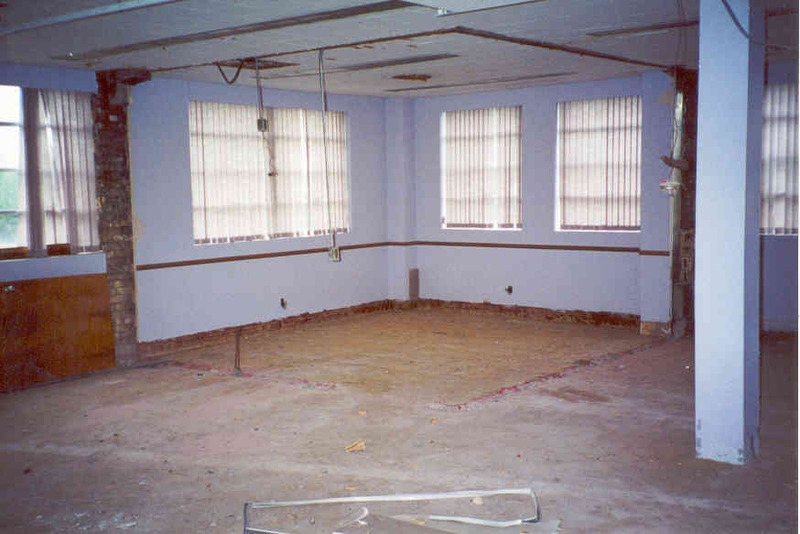 Unfortunately, the remodeling of the 1st floor chapel took longer to complete than expected. 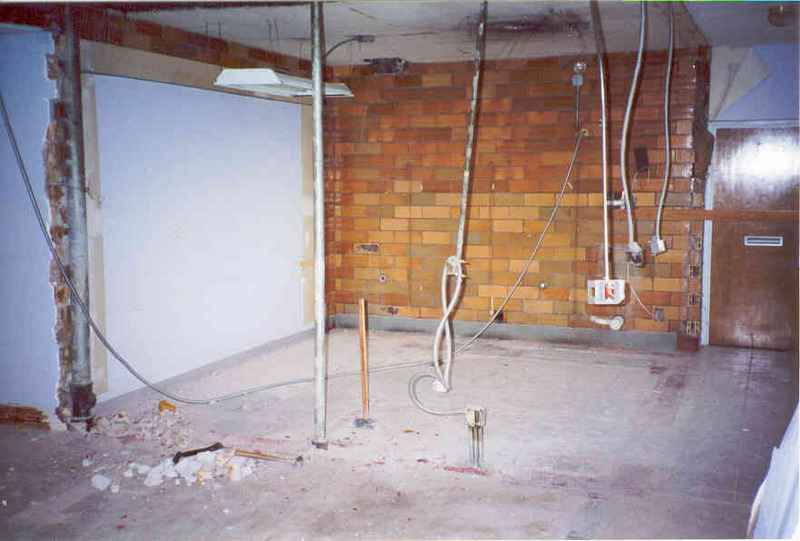 Here’s a view of the future chapel following the tearing down of two brick walls and prior to any of the final remodeling. 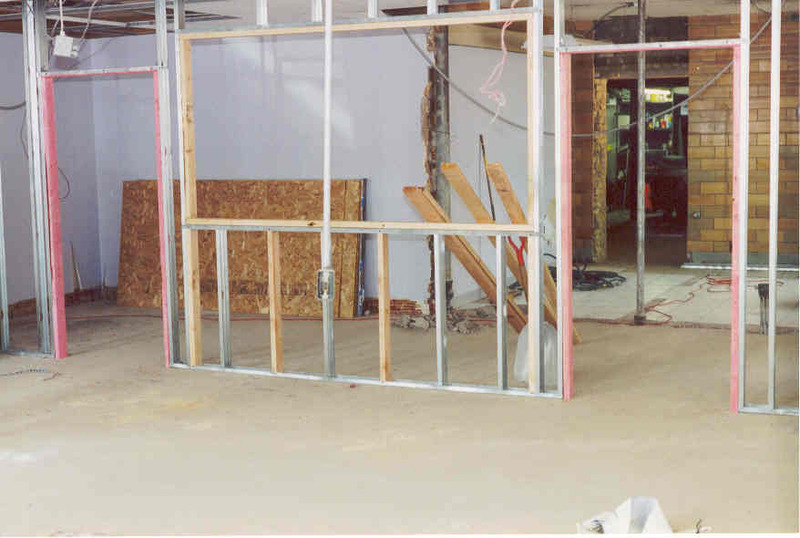 This is a view of the foyer prior to opening a hole in a brick wall for the store room door and after it was opened (viewed from the front of the chapel; the studs for the new chapel wall are visible). 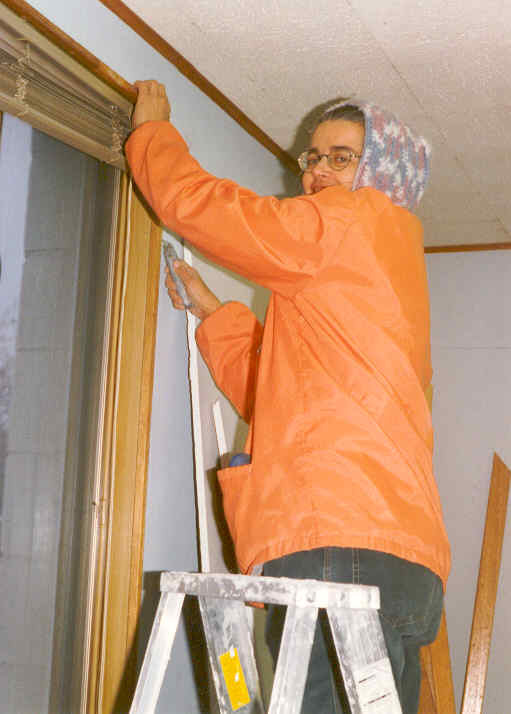 Once the remodeling was completed, Minneapolis Meditation Group members joined forces for a “Temple Day of Service” on October 14, 2001 to get the new chapel, foyer, and bookroom ready for our first service. 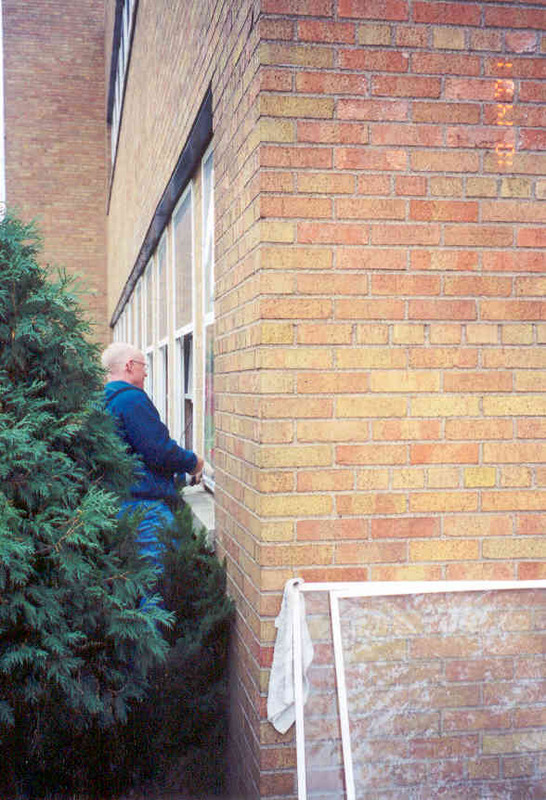 Windows needed to be cleaned both inside and out, pictures hung on the wall, history exhibit and bookroom set up, and more. May the blessings of God and Guru be with all of you for your devoted service! 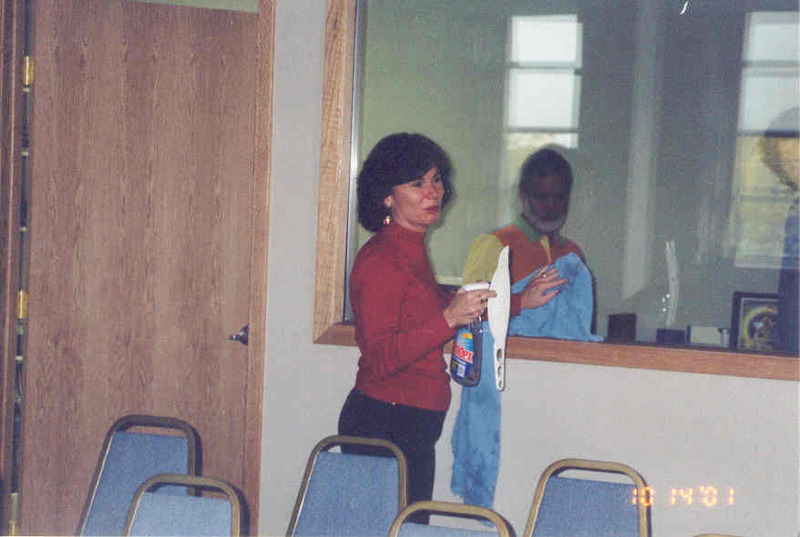 Our first service in the new chapel at 3306 5th St. NE was held on October 21, 2001. It can can comfortably seat 70-100 devotees. This is the entrance that greets newcomers. 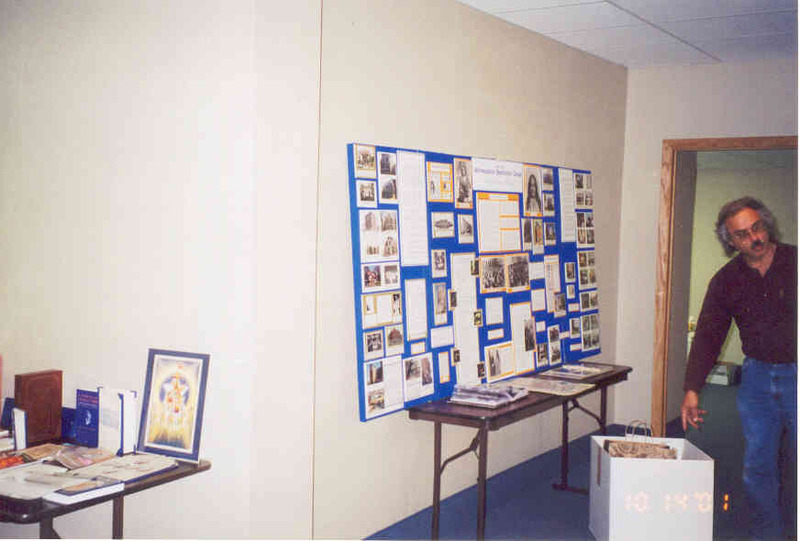 During the next few months after moving into our new chapel we purchased beautiful new bookshelves which greatly beautified our foyer and entryway, bookroom area, as well as the history exhibit area. 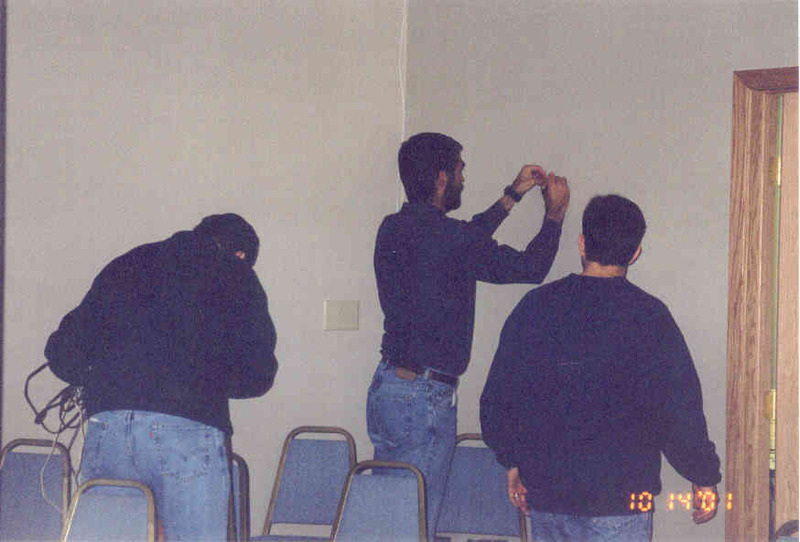 These pictures were taken on April 10, 2002. 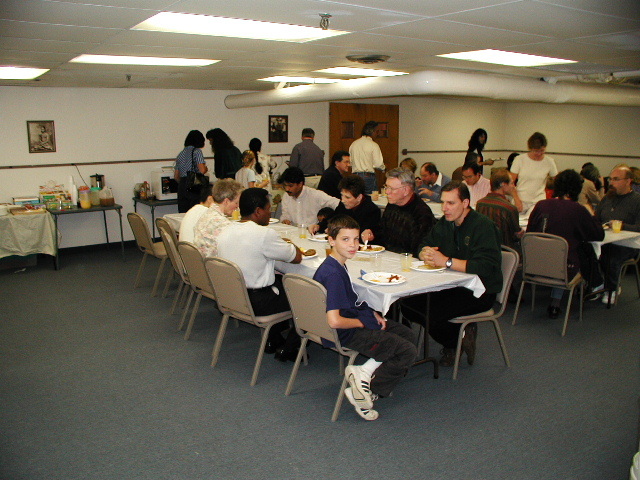 We have monthly potlucks in our social room on the second floor such as this one in April 2002. 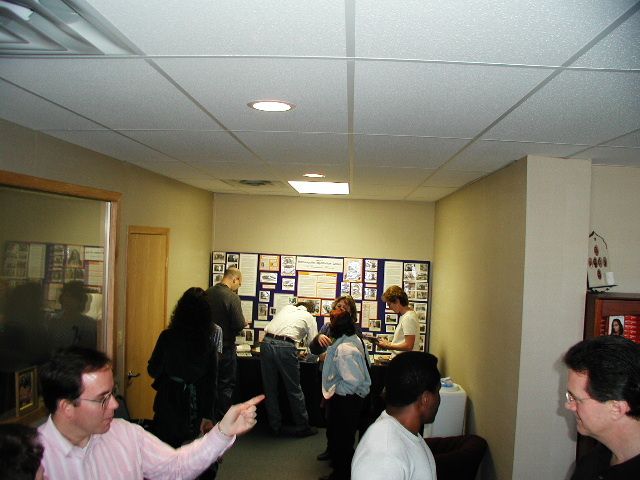 On October 11-13, 2002 the group hosted a second SRF lecture tour. This time the group was privileged to haveBrother Achalananda, from the SRF board of directors, as well as Brahmachari Dominic, a former member of the Minneapolis Meditation Group, lead the weekend activities. 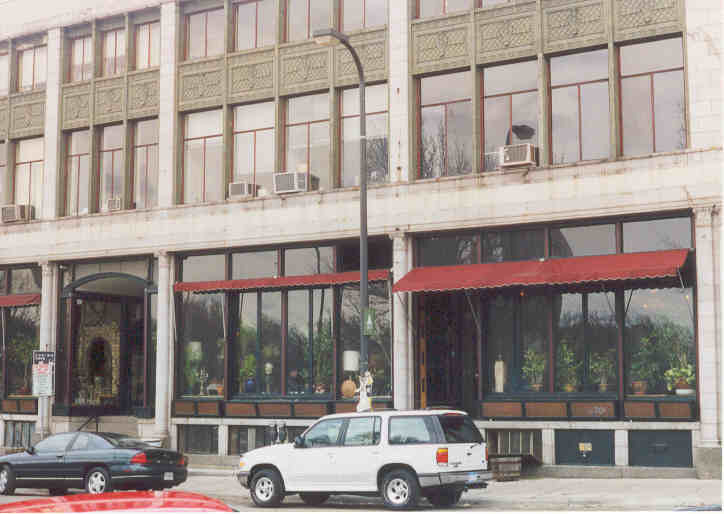 The title of the Friday evening public lecture at the Woman’s Club of Minneapolis was “To be Victorious in Life” and it was attended by about 240 souls. 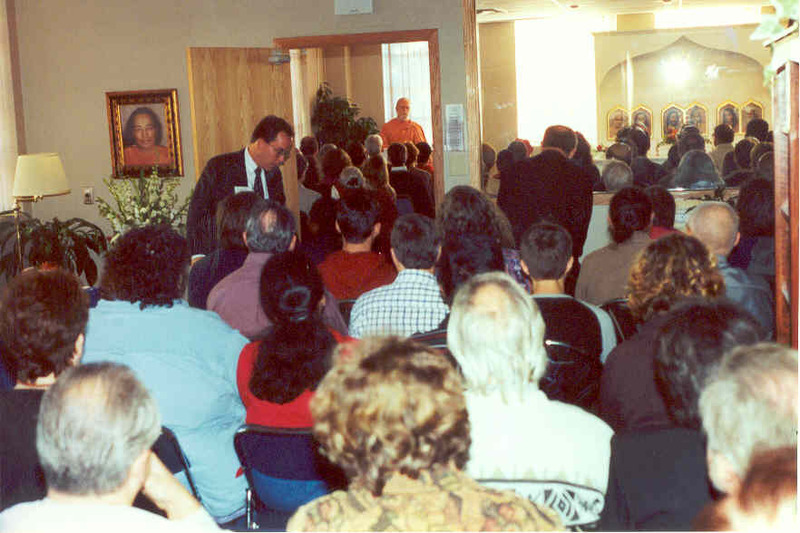 Attendance at thekriya initiation on Saturday was about 100, an increase from the approximately 80 devotees who took kriya in 1998. 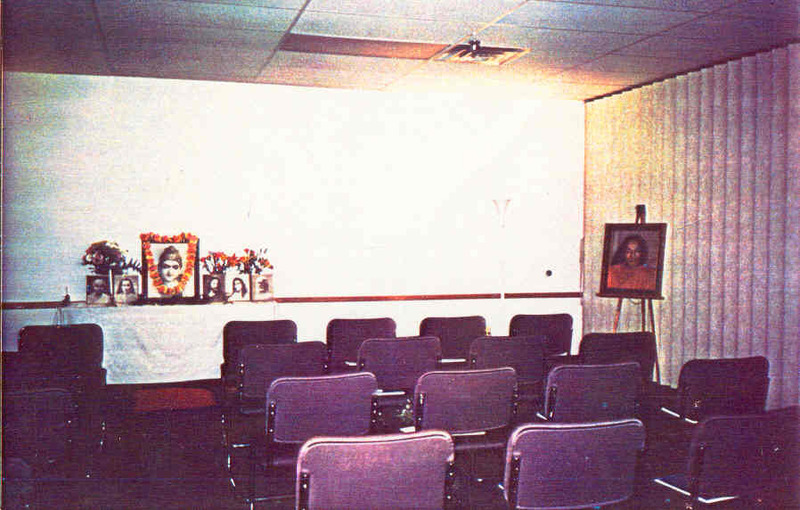 Both the kriya initiation as well as the Sunday morning services were held at the meditation group location in north Minneapolis (3306 5th Street NE). Attendance at the Sunday morning Readings Service was 157, which resulted inoverflow seating that filled our foyer as well as overflow seating for about 20 more upstairs in our social room. This total does not include the almost 40 children and teachers who listened to Brahmachari Dominic speak in our Sunday school during the Readings Service. 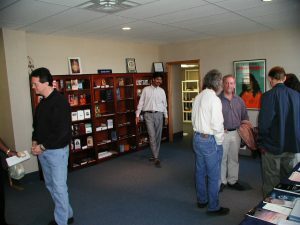 About 140 people attended the afternoon showing of the “Glimpses of a Life Divine” video. On Sunday evening about 30 of us once again had dinner, this time at the New Dehli Indian restaurant near the Woman’s Club. After dinner Brother Achalananda gave a very inspiring talk that held us spellbound for about 20 minutes. We could have listened all night and didn’t want it to end. 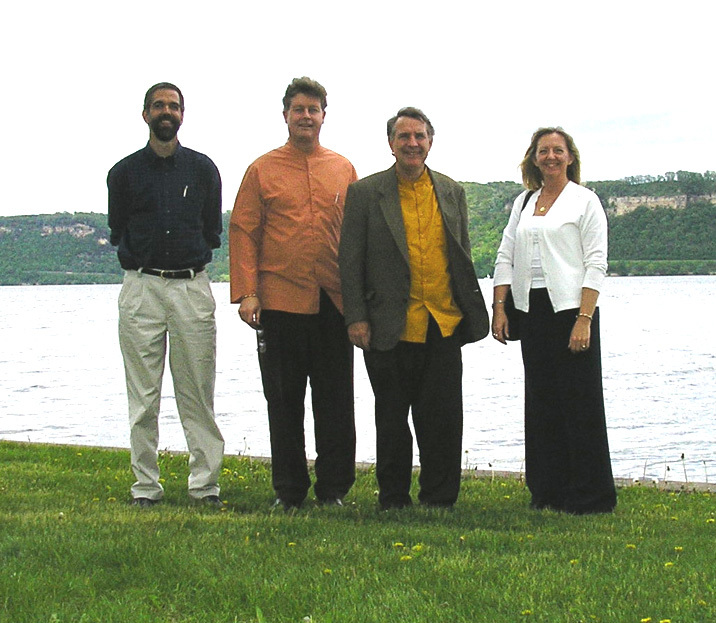 Between the various public and group activities, the monks were able to visit various scenic spots around the area including: the Minneapolis chain of lakes,Minnehaha Falls, Catholic Cathedrals, Summit Avenue in St. Paul, to the Assisi Heights monastery in Rochester, and up the Mississippi River through Red Wing and Hastings. Additional pictures are on our picture gallery. 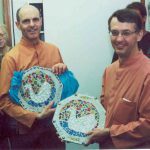 On November 16, 2002 we celebrated the 75th anniversary of the founding of the Minneapolis Meditation Group with a three-hour meditation. 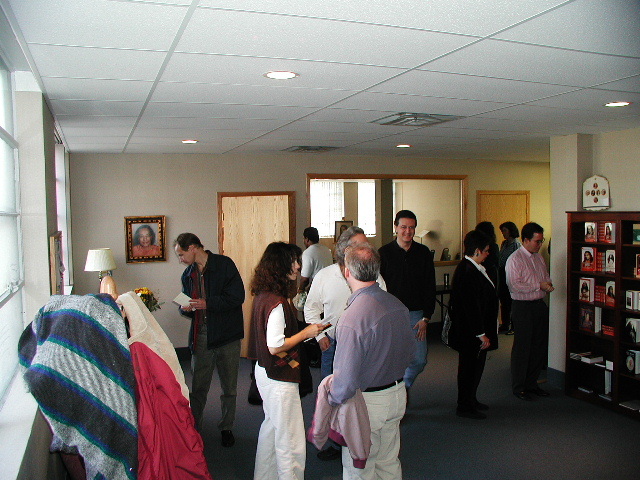 More than 20 devotees attended the event. Following the meditation we served Indian food catered from the India Palace restaurant. Following the meal we played a Paramahansa Yogananda trivia game that was created by our Teen Group, including questions regarding the history of the Minneapolis Meditation Group. It was a very enjoyable celebration. 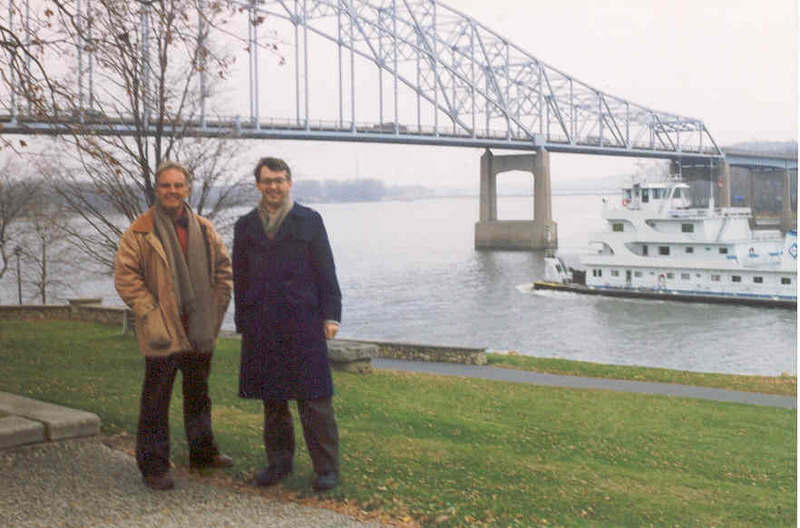 For many years we had requested to host a Regional Retreat but to no avail. 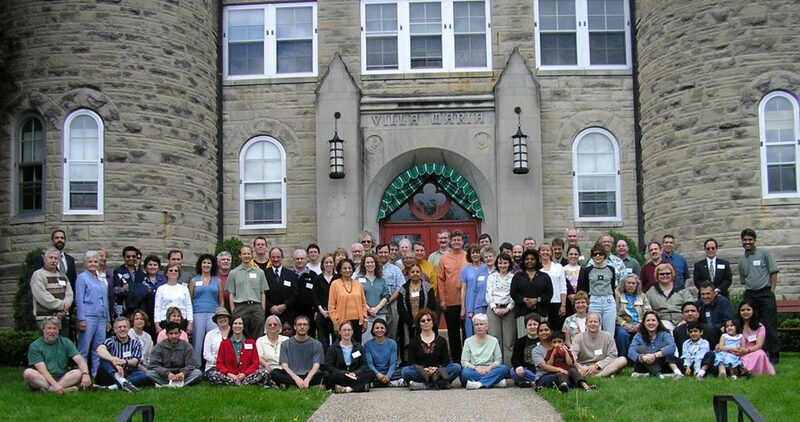 On May 20-22, 2005, however, our requests were realized when the Minneapolis Meditation Group hosted its first SRF Regional Retreat at the Villa Maria Retreat Center near Frontenac, Minnesota. What a wonderful and blessed retreat we had with Brother Jayananda and Brahmachari Martin. It was truly an inspiring weekend for all. 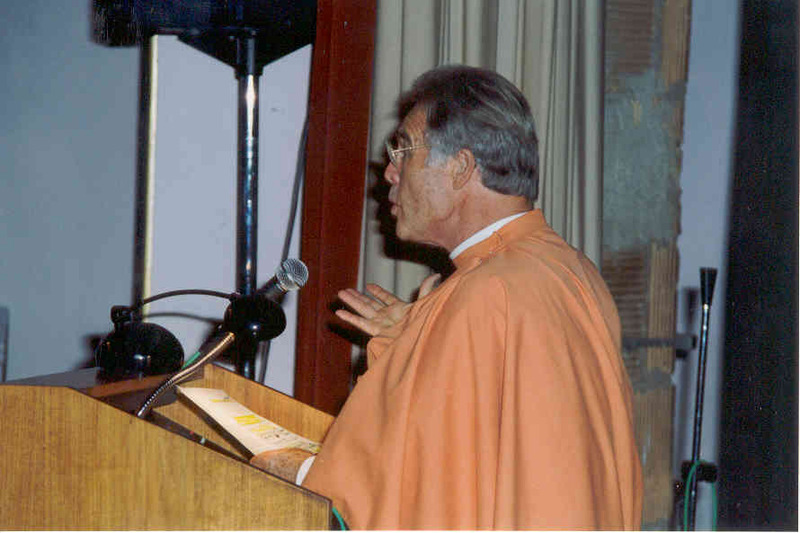 We had many devotees say that they got so much out of the retreat and classes, more than at any other SRF event including the Convocation and a retreat at Encinitas. Devotees said that it was very personal having the teachings come to them. Joy and appreciation was expressed in the voices, eyes, and souls of all in attendance. 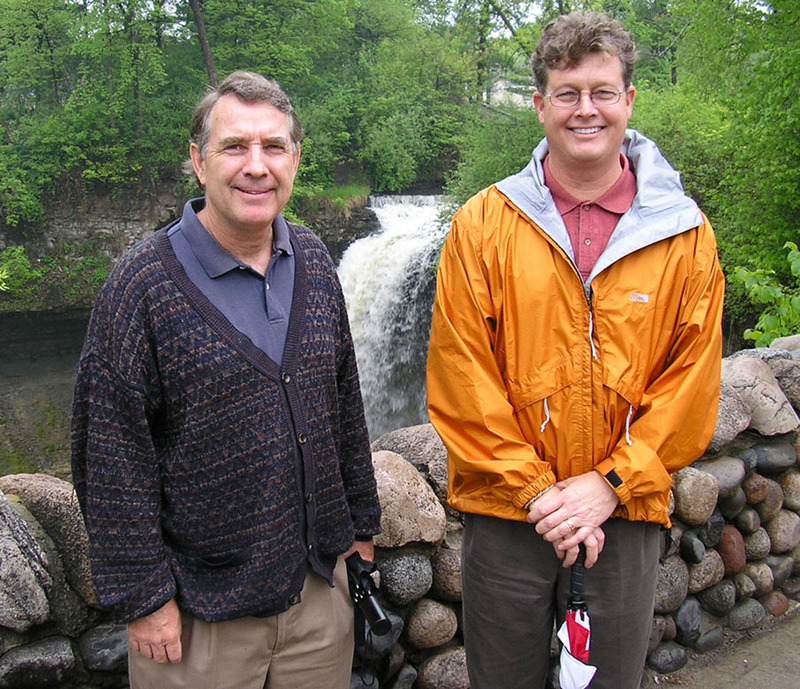 The Minneapolis devotees who served during the retreat reaped special benefits that were also expressed. It was wonderful to see so many devotees come closer to God and Master. The retreat definitely brought Master’s teachings to us in a special way. Ninety devotees attended the retreat coming from as far away as Kansas City and Wichita, Kansas. 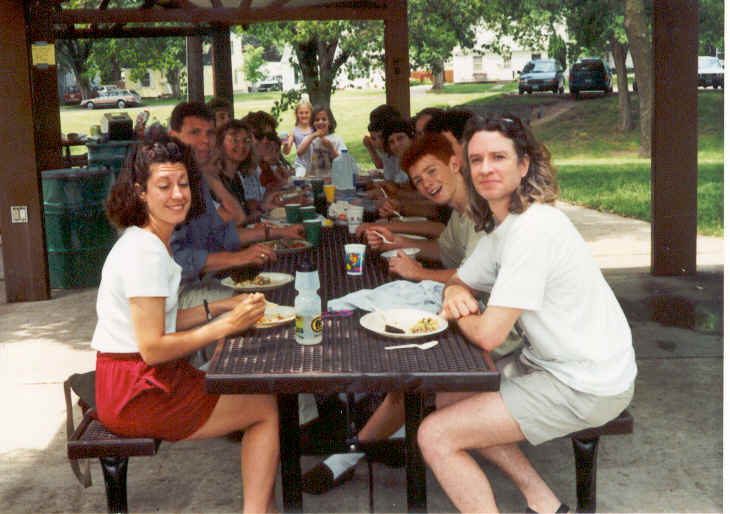 The picture below was taken of the retreatants in front of Marian Hall, where the sleeping and dining facilities were located. 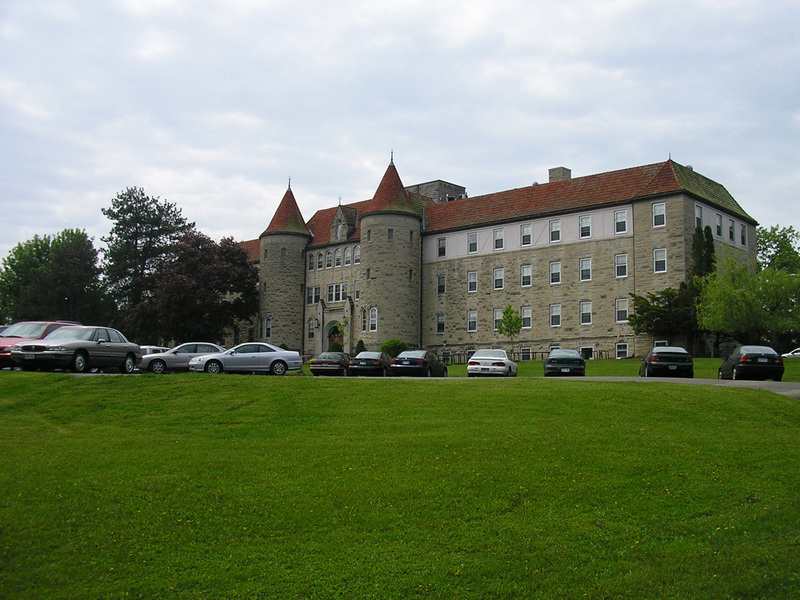 Everyone particularly liked Ursuline Hall, where all of the classes and meditations were held. The room has excellent acoustics, lighting, and ventilation. Energization exercises were held in the parking lot immediately in front of the Hall. 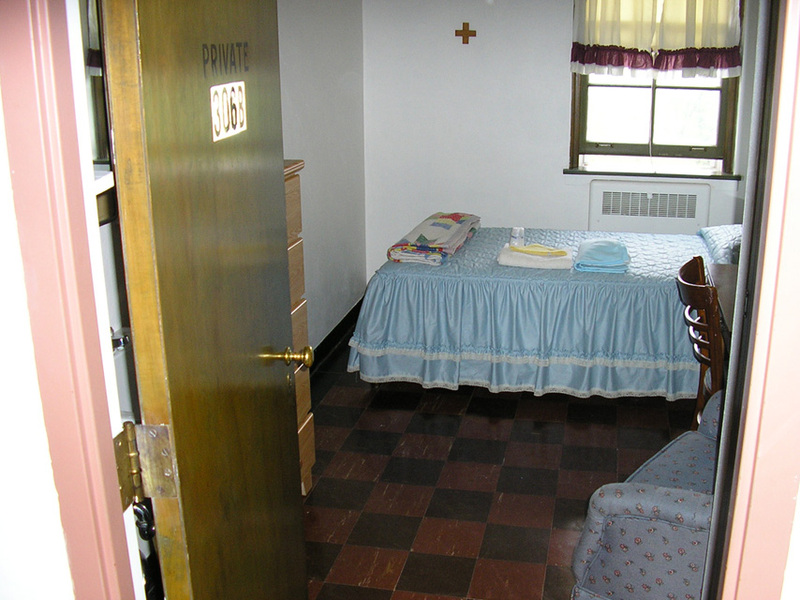 The sleeping quarters in Marian Hall were Spartan yet comfortable. 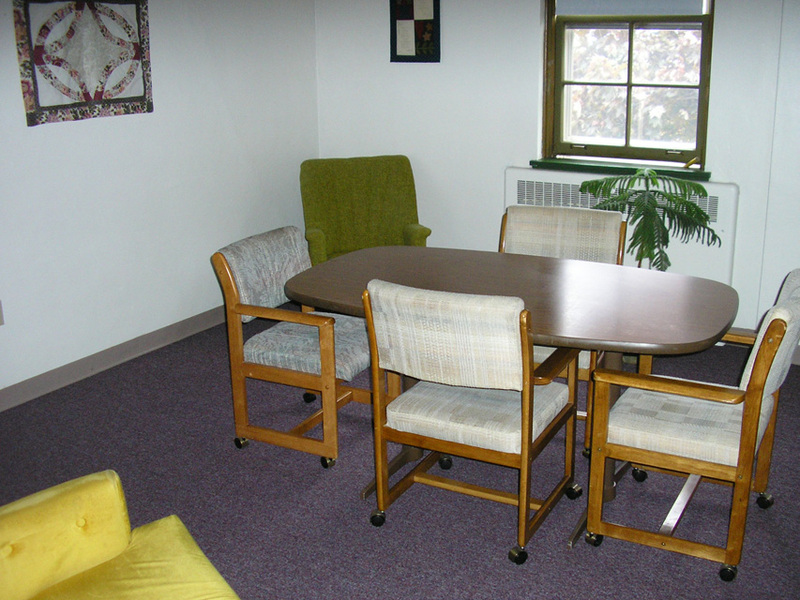 There are about six small to large libraries and lounges in Marian Hall where retreatants were seen reading and studying SRF literature during the retreat. 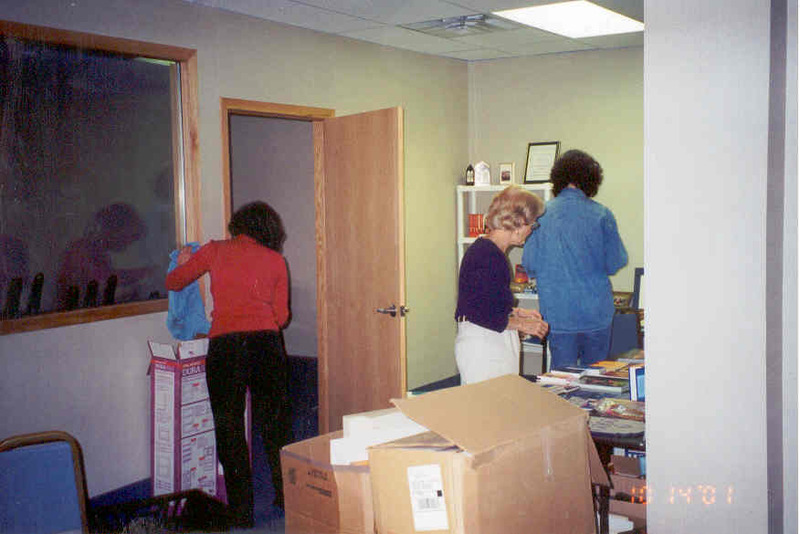 We set up our “Lending Library” of SRF books in one of the larger such rooms. 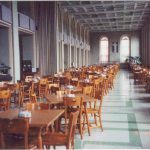 The dining room was also in Marian Hall (pictured below left), which was very convenient. 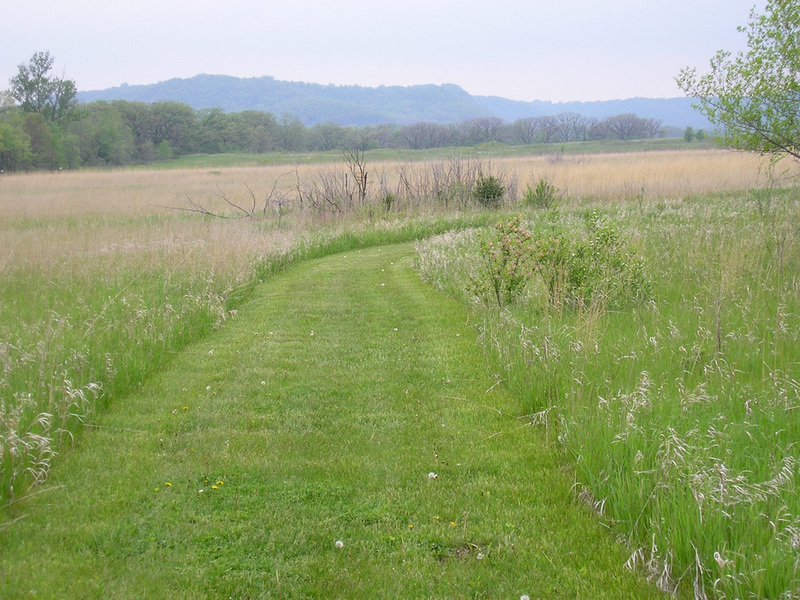 The weather cooperated for the retreat, allowing the retreatants to explore the many acres of trails and land surrounding the retreat center. 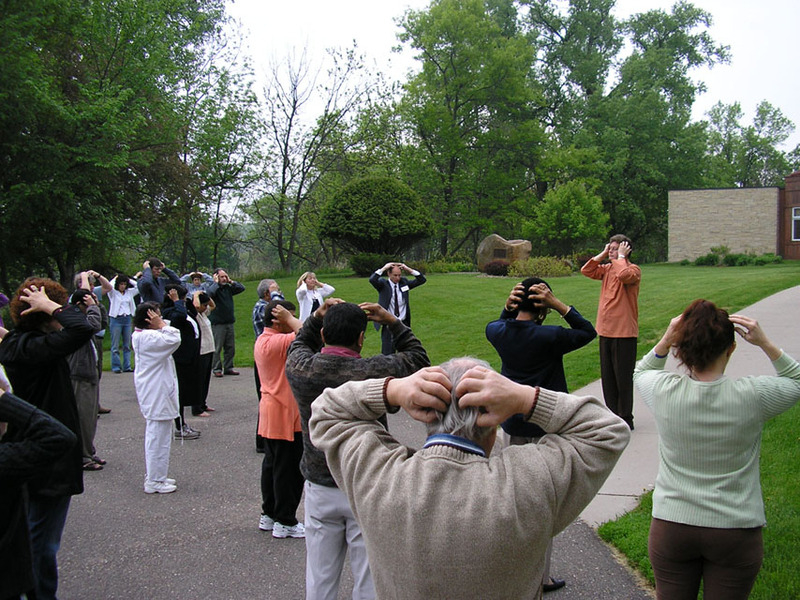 May generally is a good month of the year to hold such retreats in Minnesota – the mosquitos generally haven’t come out yet!! 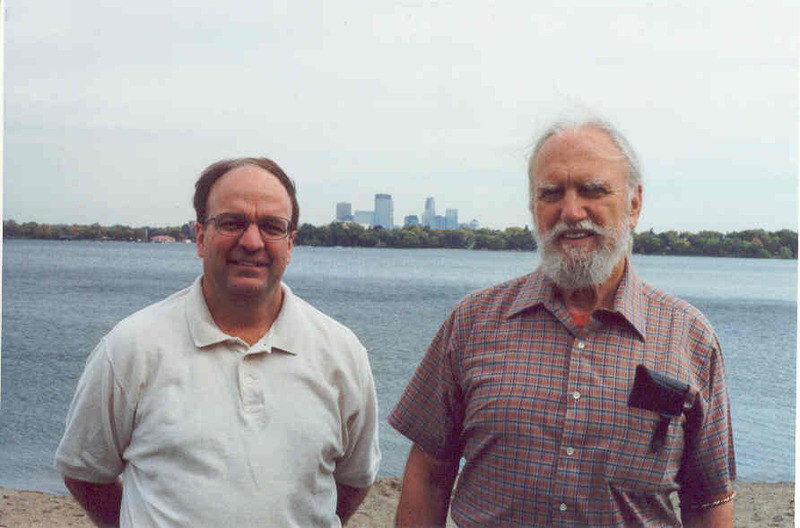 Brother Jayananda and Brahmachari Martin were given a scenic tour of the Twin Cities area while they were here and visited places such as Minnehaha Falls, the Minneapolis chain of lakes, Lake Pepin (which is near Villa Maria), and many of the places where Guruji stayed when he spread his teachings in the area in the 1920’s and 1930’s. 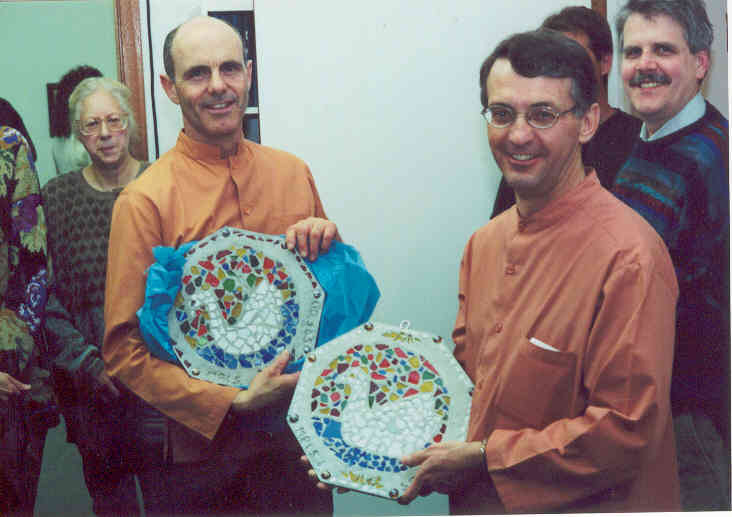 Thank you Brother Jayananda and Brahmachari Martin for bringing Master’s teachings to us! Many very strong Minneapolis devotees have moved to California (and elsewhere) over the years, primarily to get closer to the SRF temples! Although this has always been a loss to the Group, it also has provided us with strength knowing that these Minneapolitans were able to get closer to Paramahansaji’s teachings by dedicating themselves more fully to his service. Several of these devotees have become monks in the SRF order. We pray that, with the blessings of our Guru, the Minneapolis Meditation Group will prosper for many years to come –providing an opportunity for devotees to commune together with God and to help spread the message of the Masters of India through Self-Realization Fellowship.